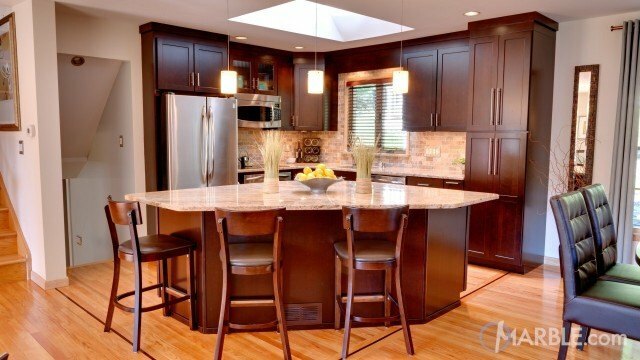 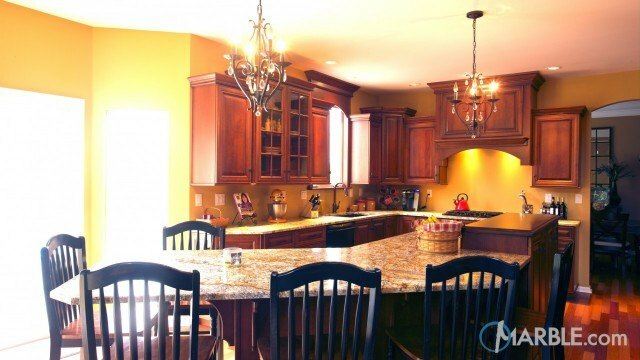 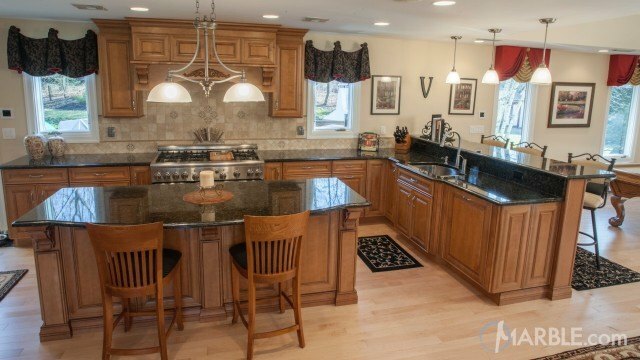 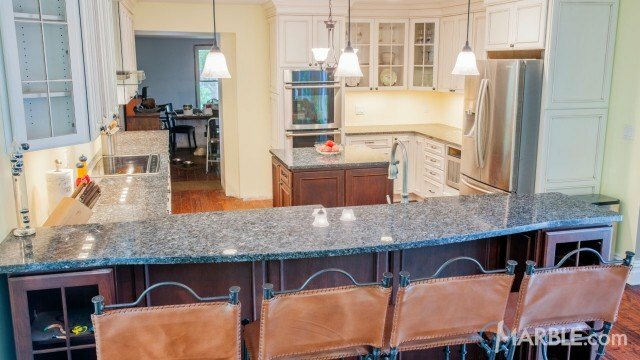 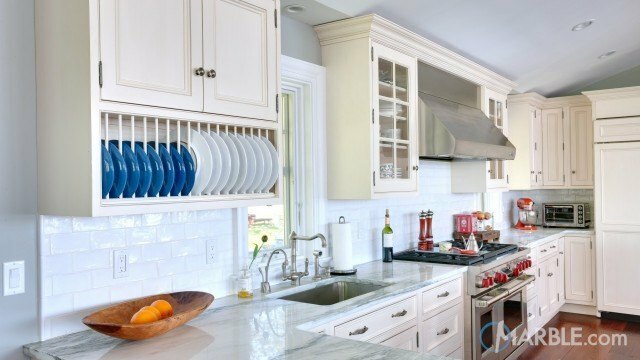 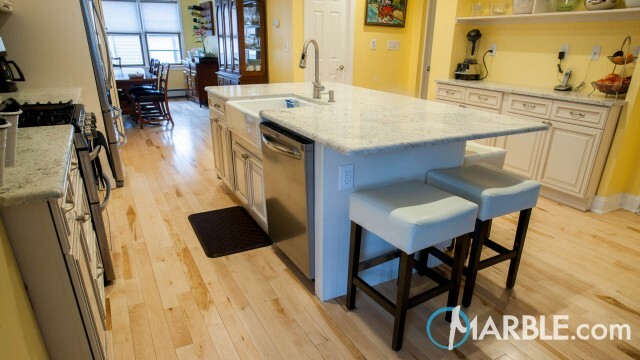 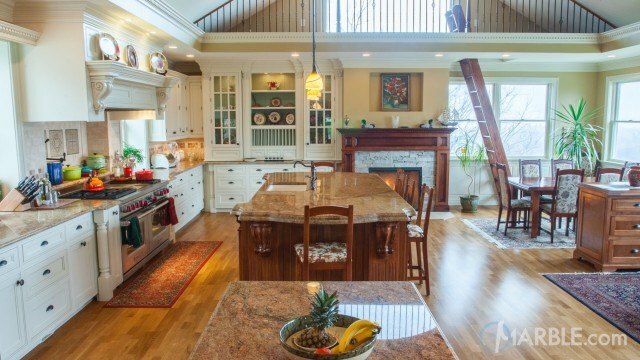 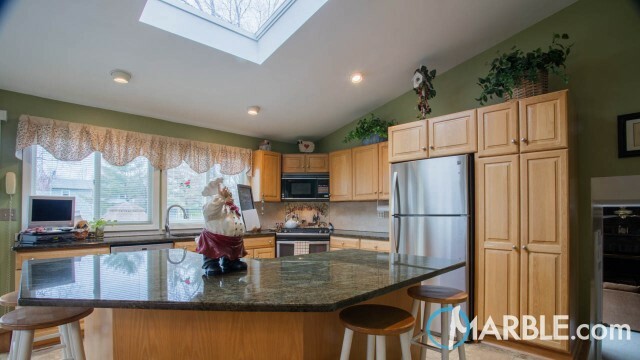 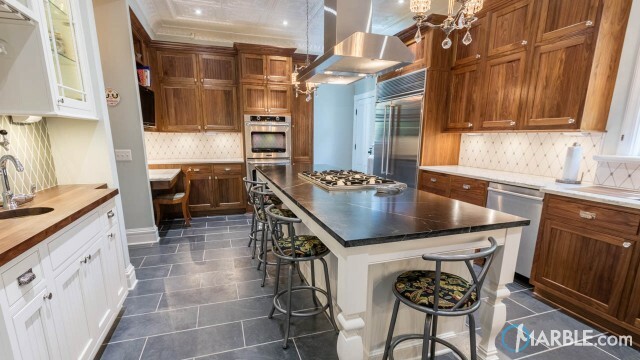 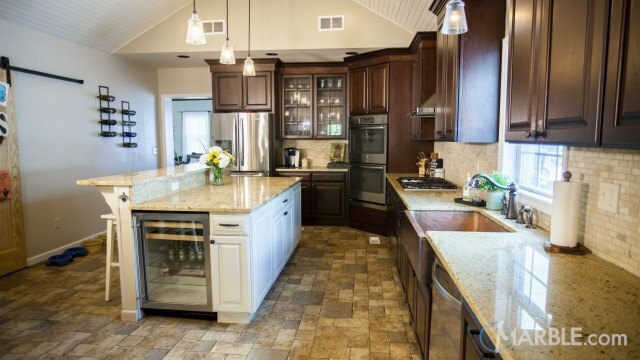 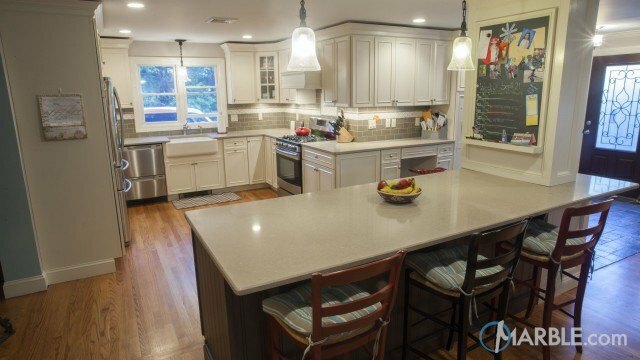 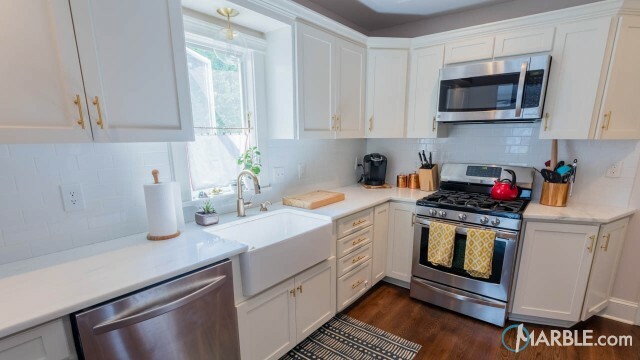 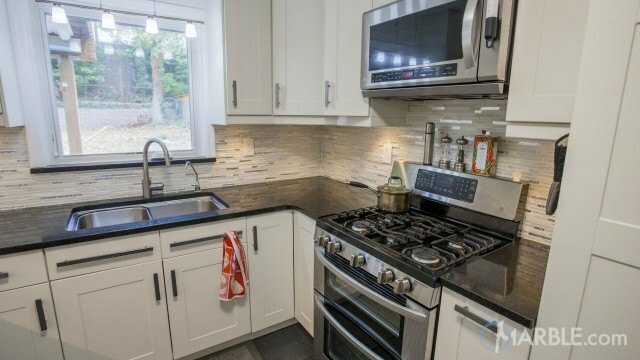 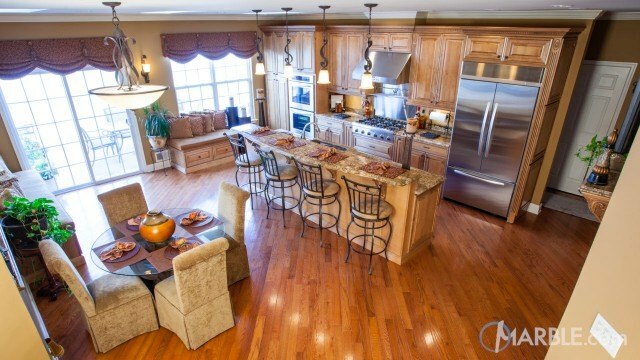 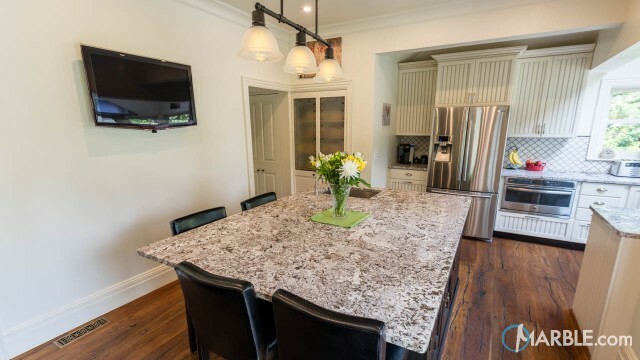 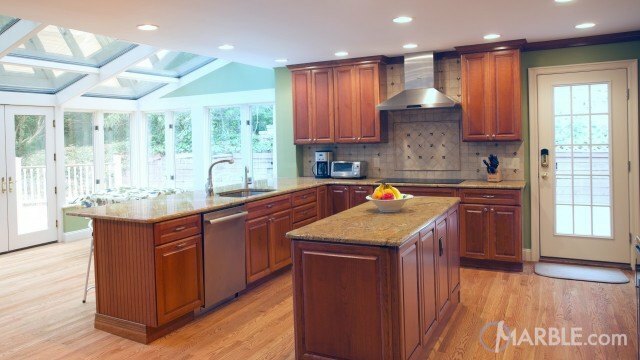 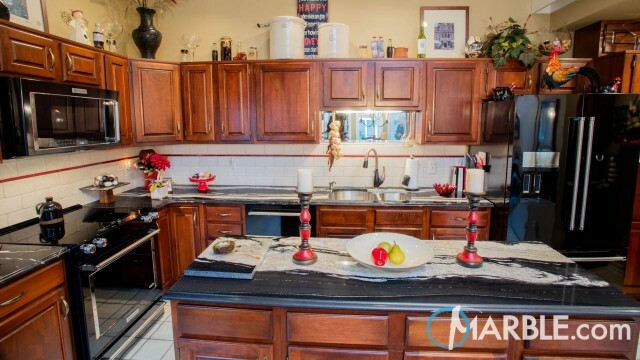 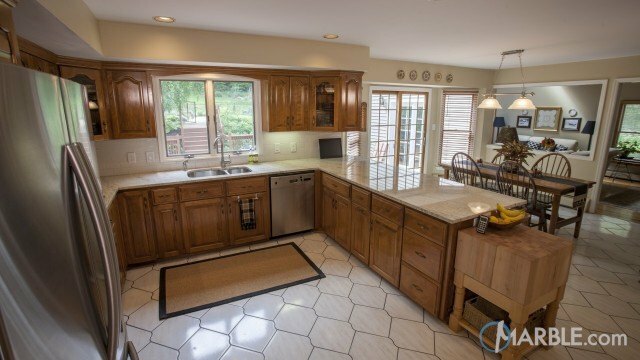 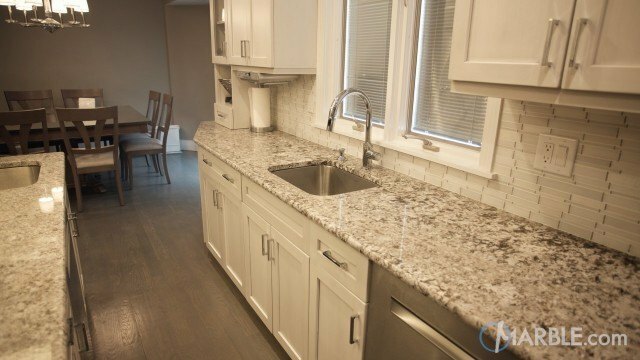 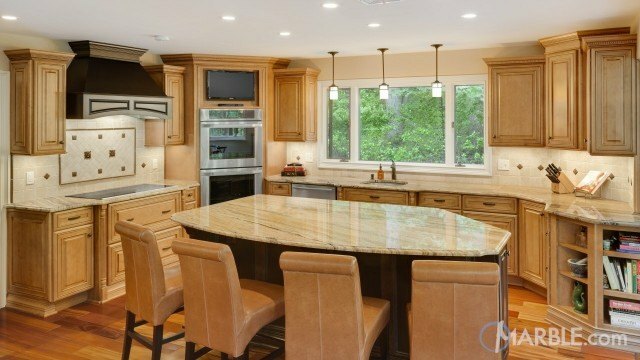 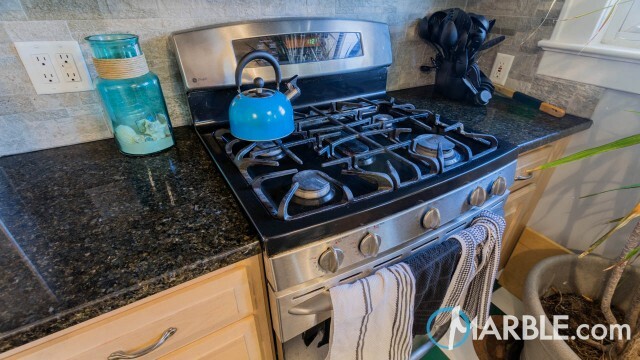 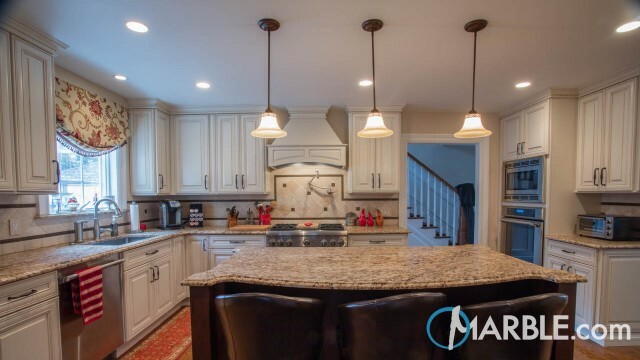 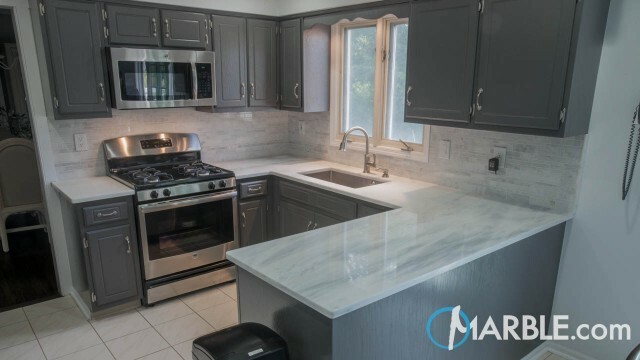 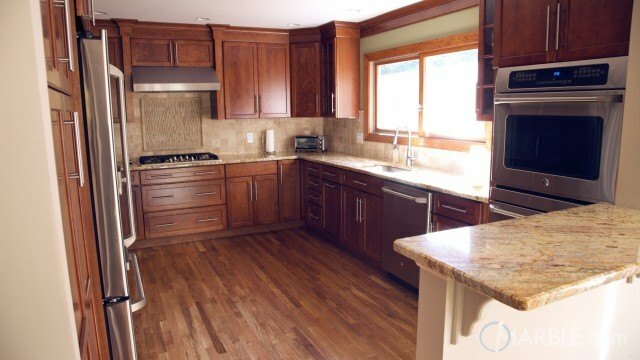 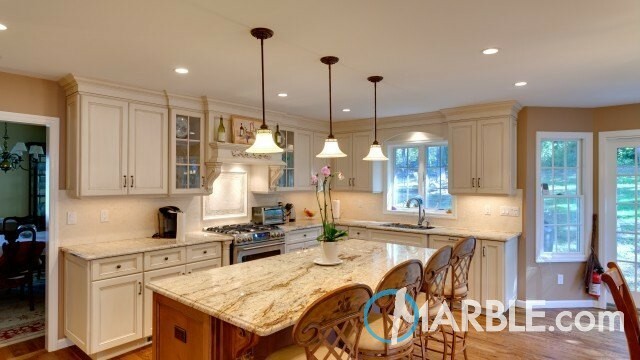 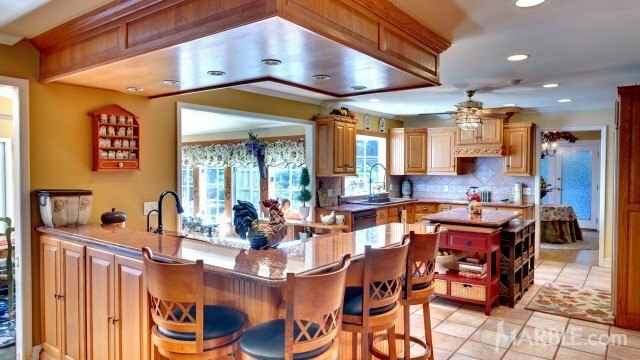 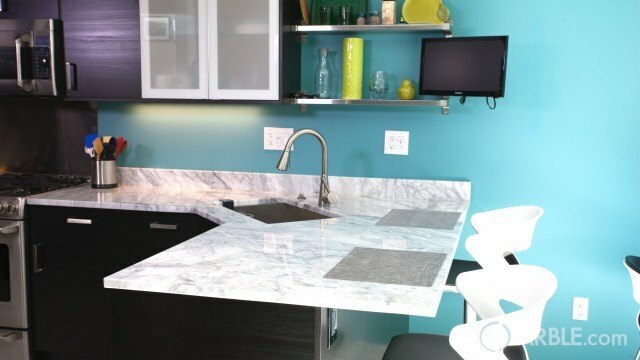 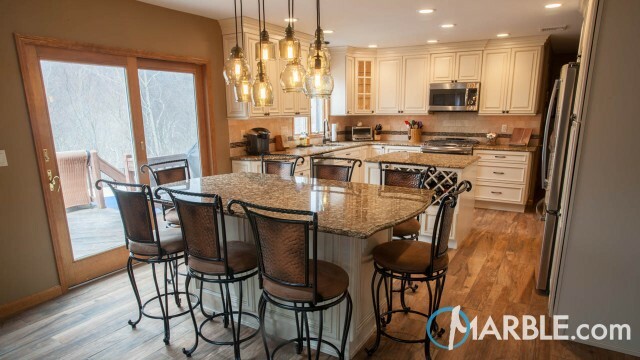 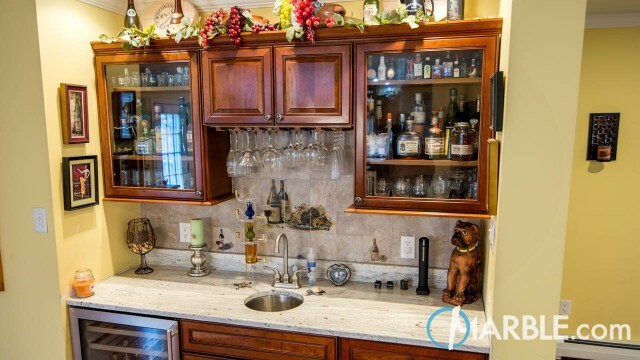 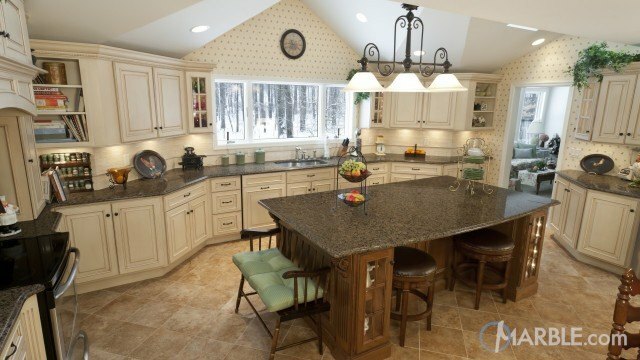 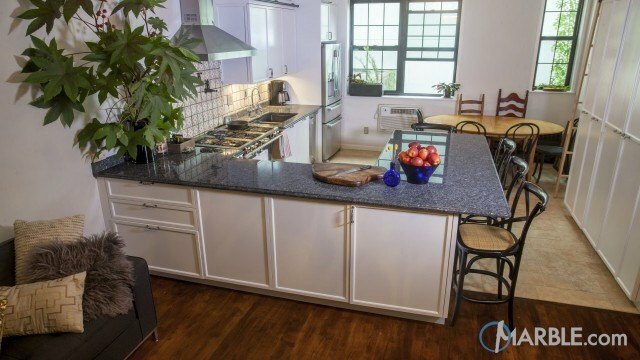 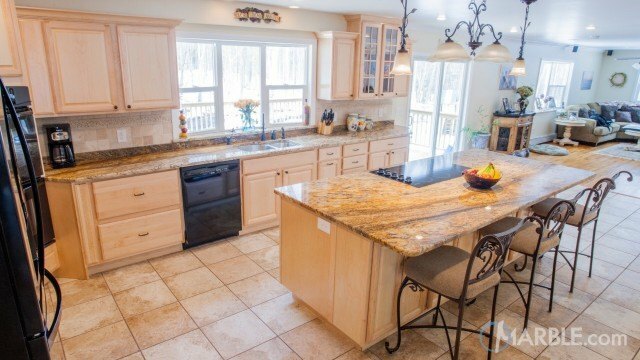 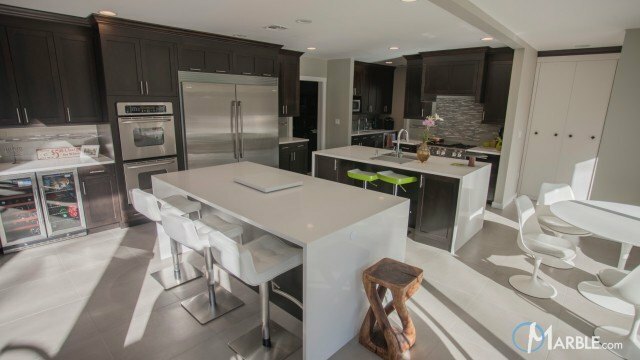 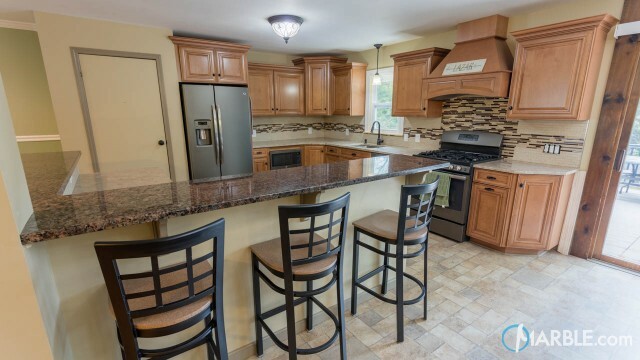 This U-shape kitchen features lots of cabinet and work space. 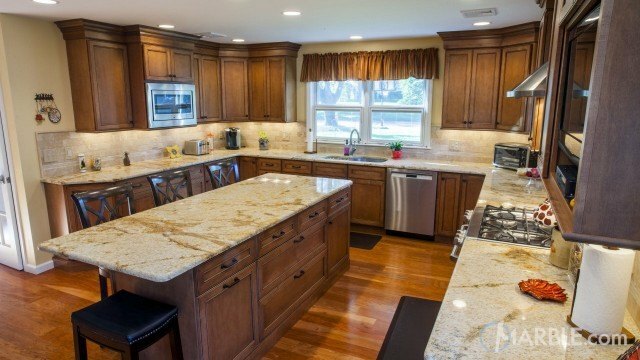 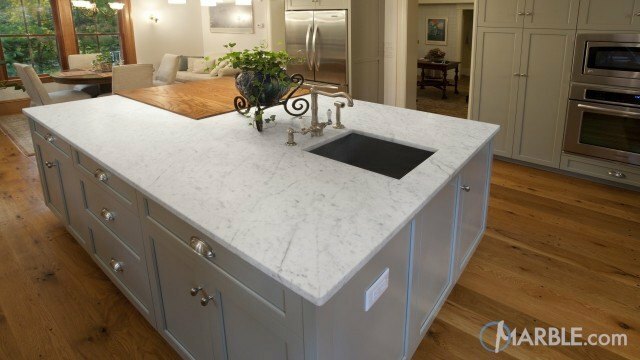 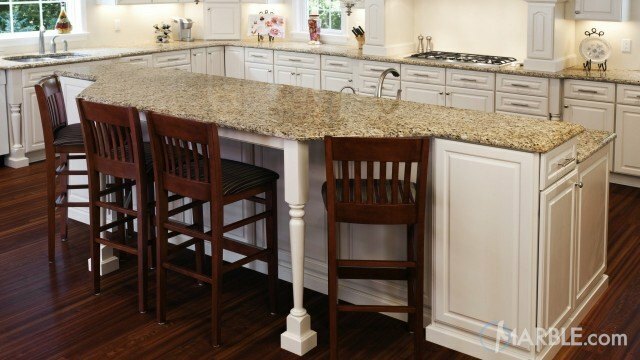 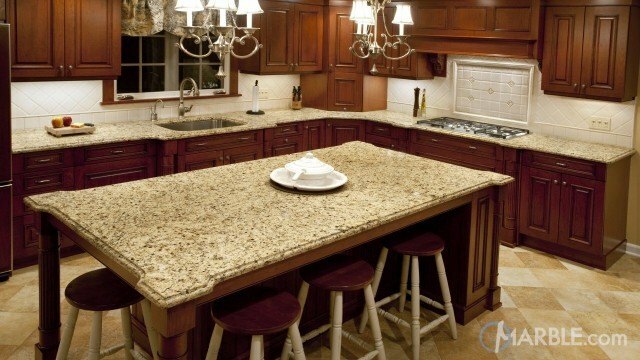 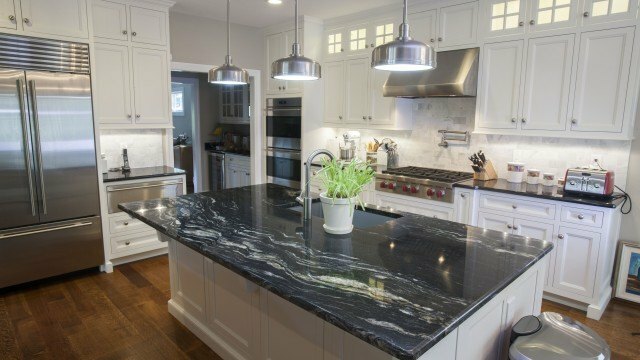 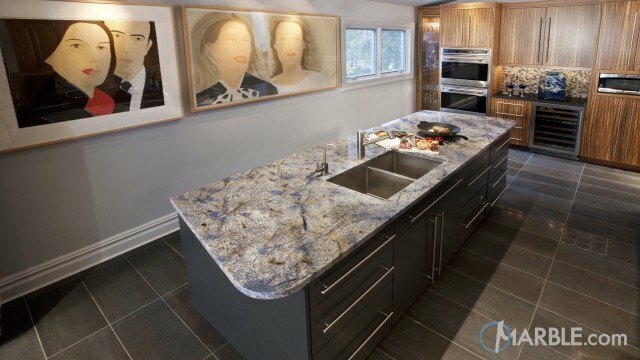 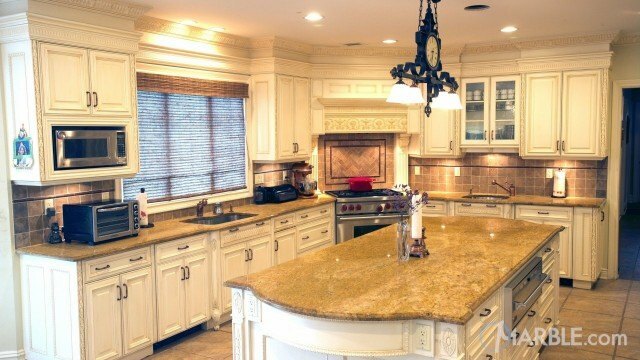 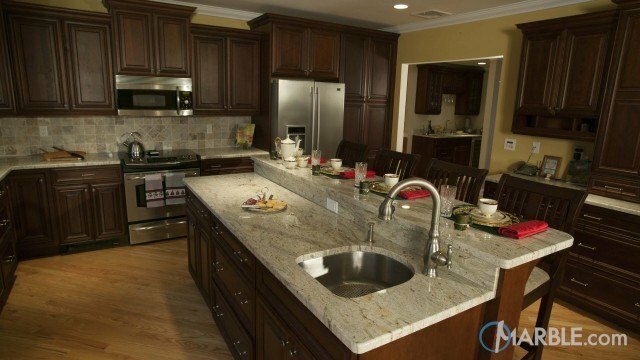 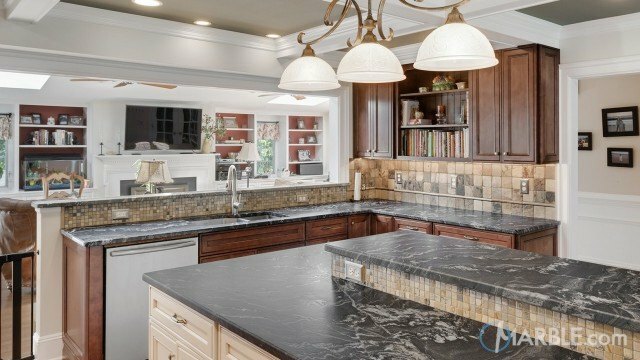 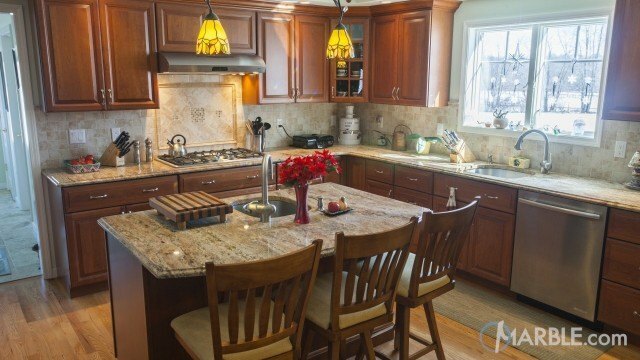 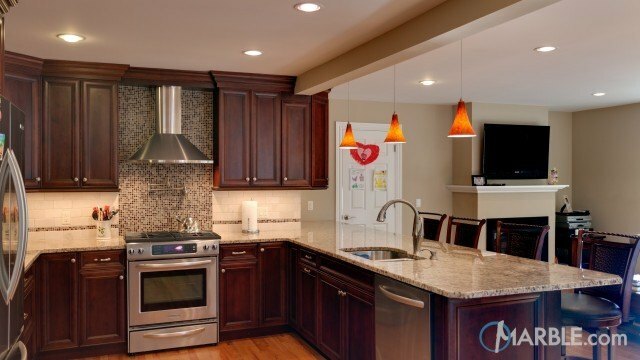 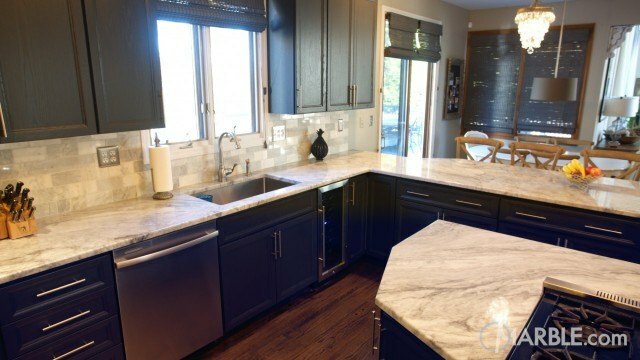 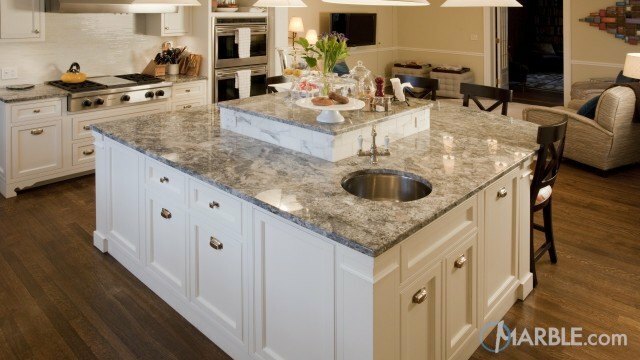 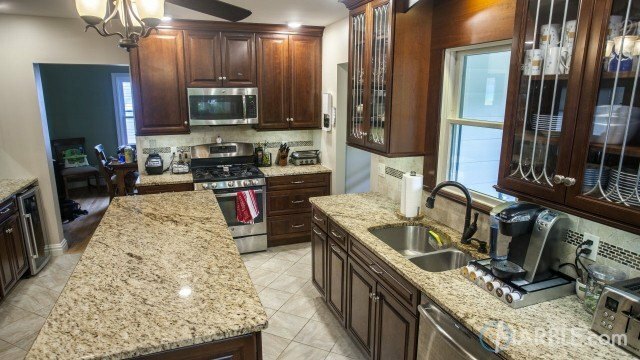 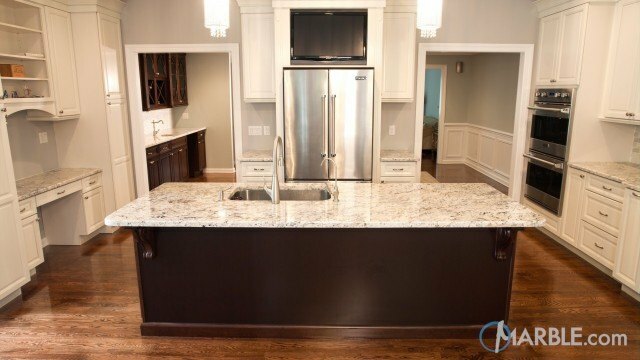 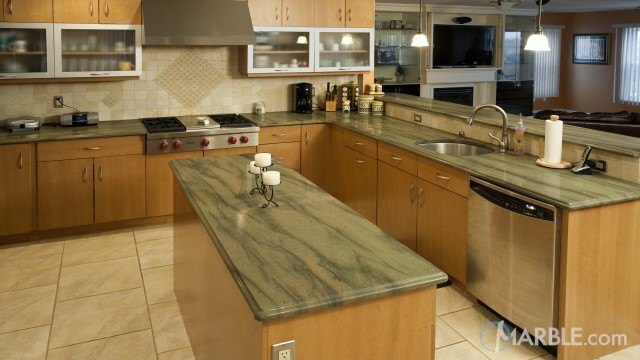 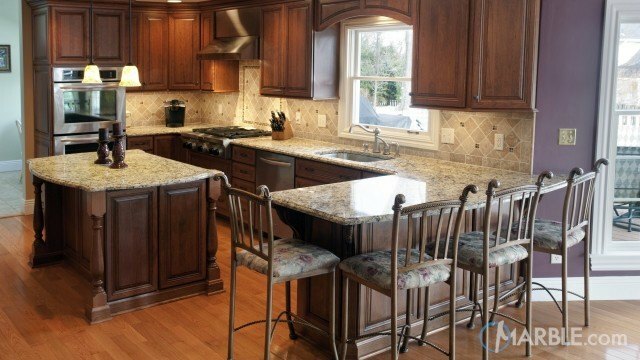 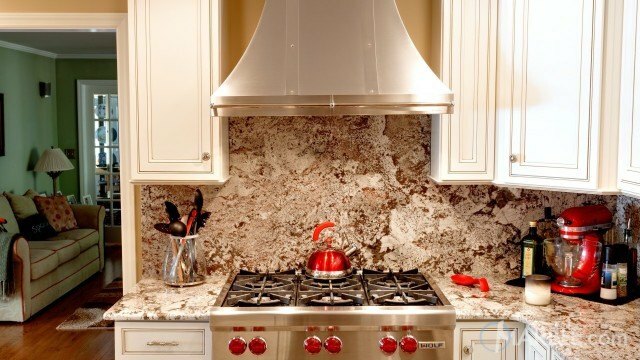 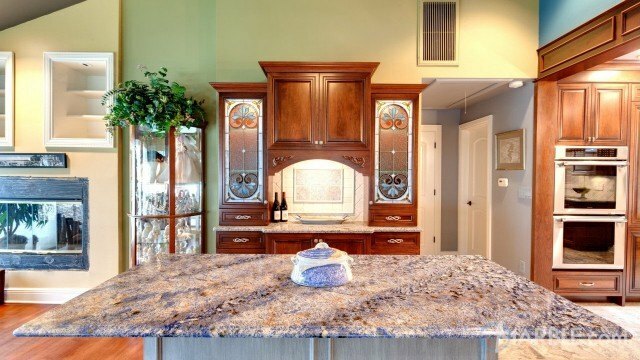 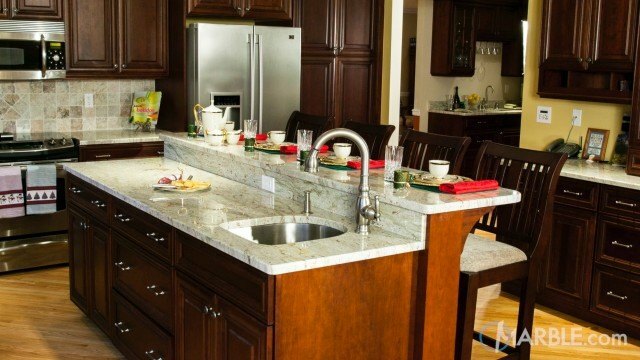 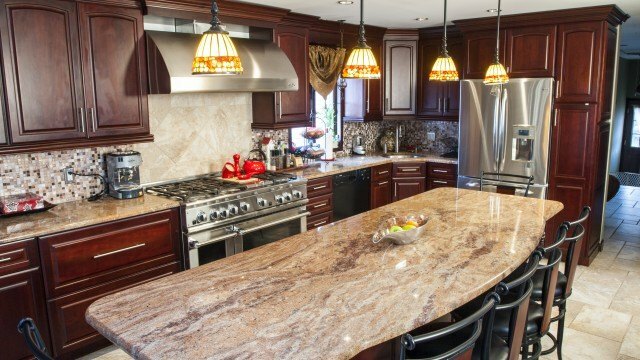 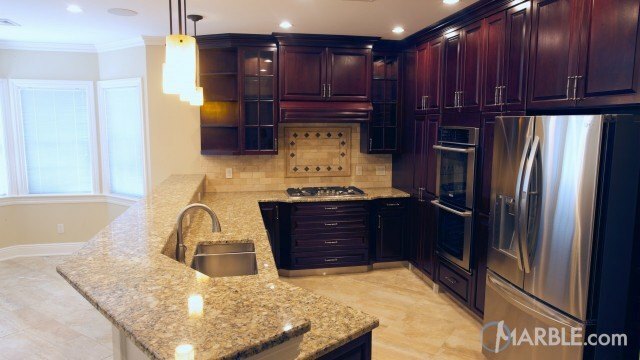 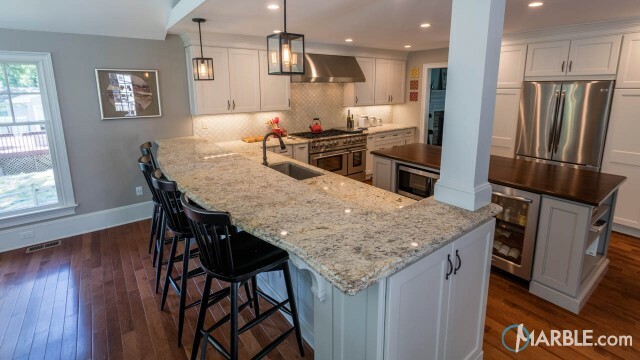 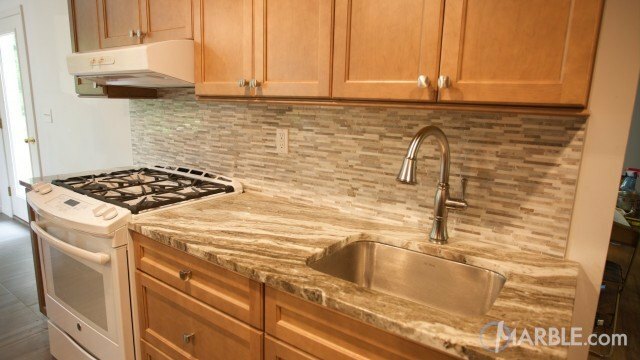 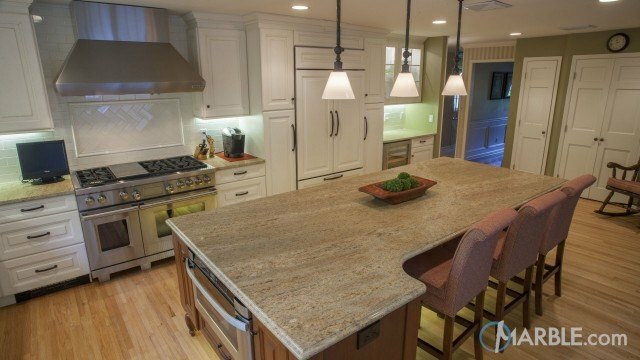 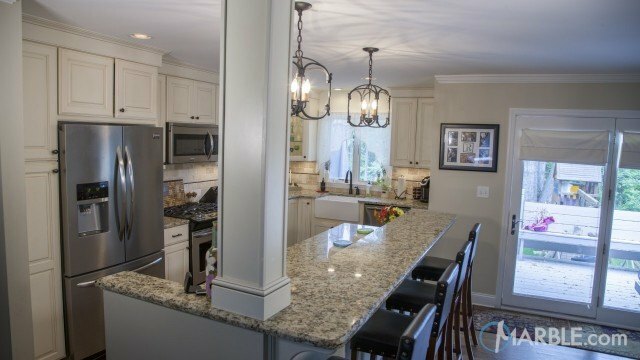 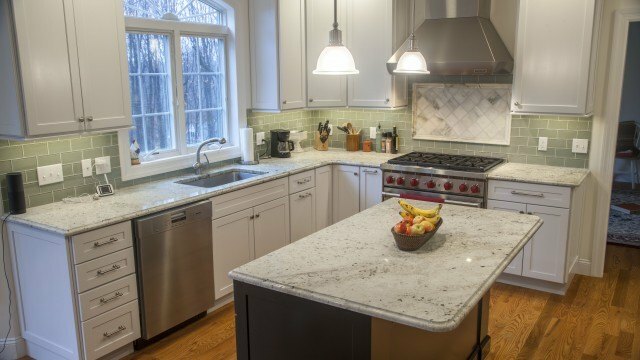 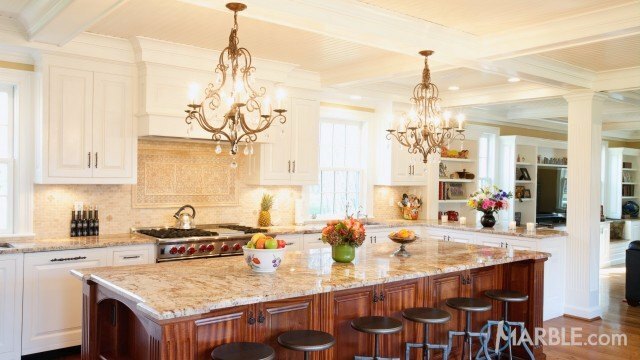 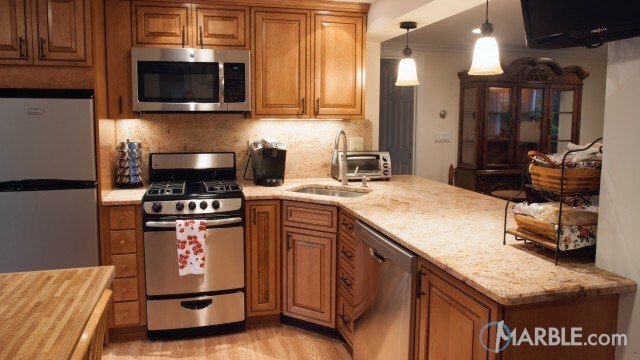 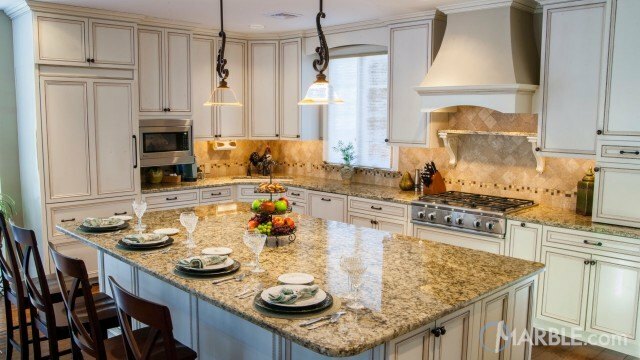 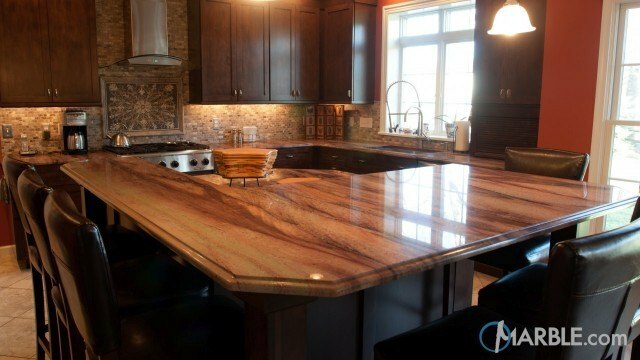 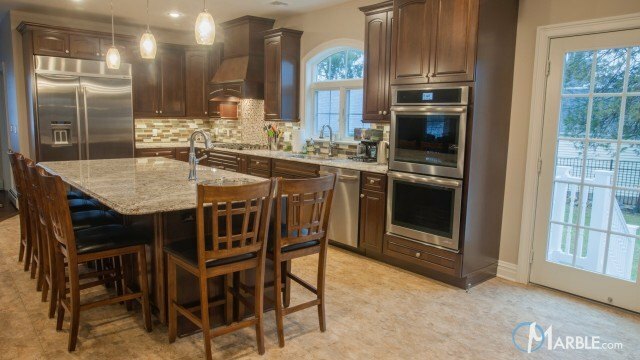 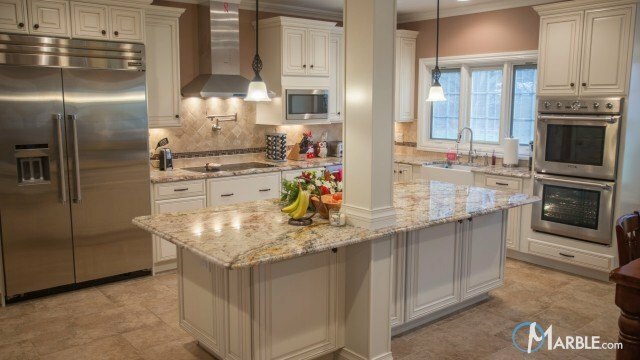 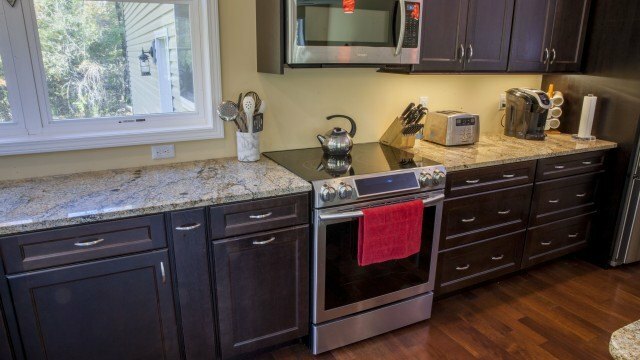 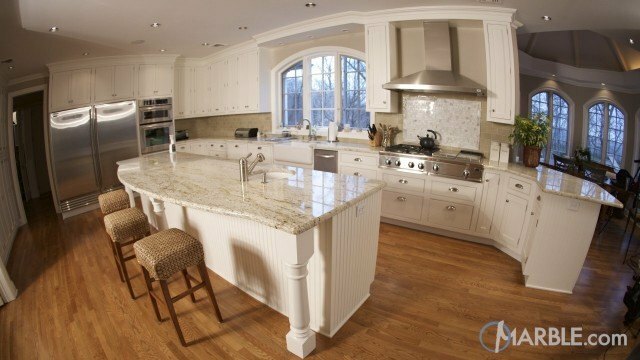 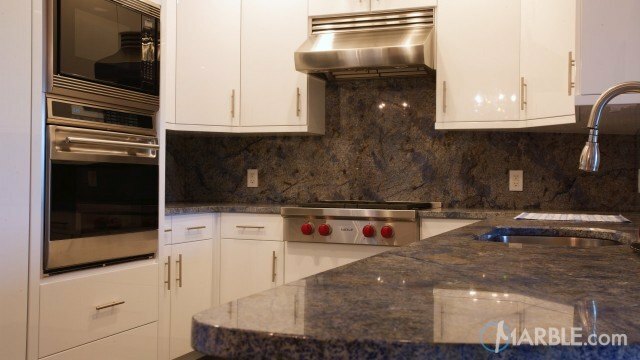 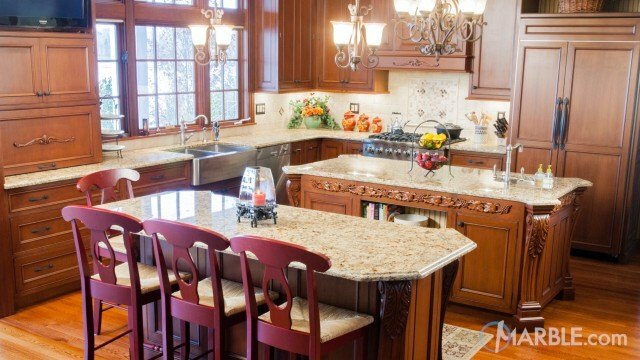 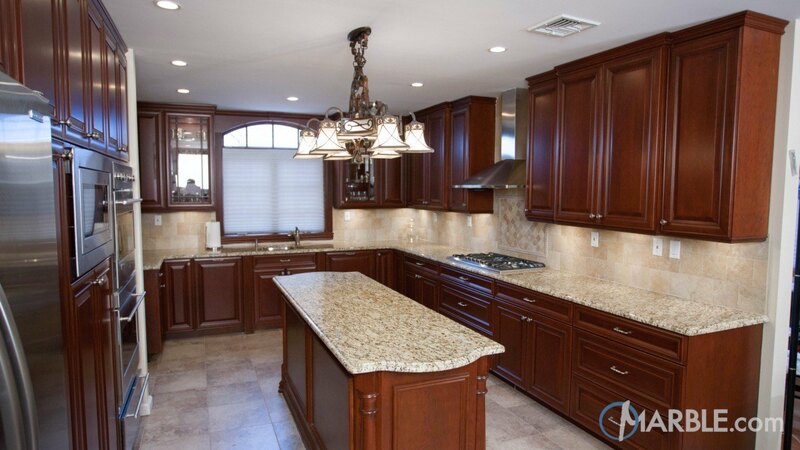 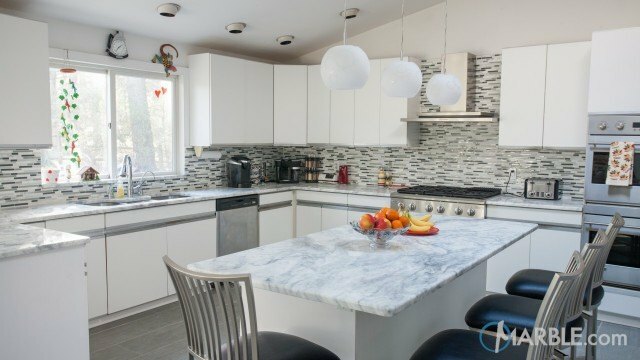 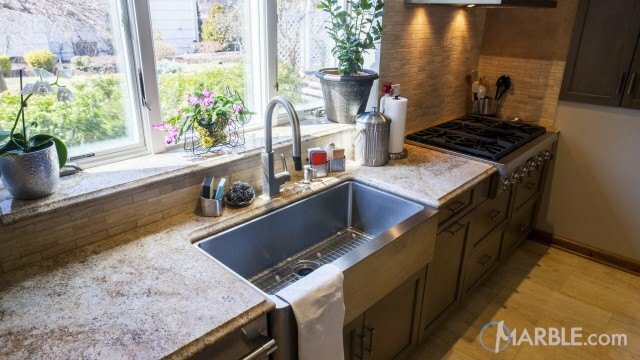 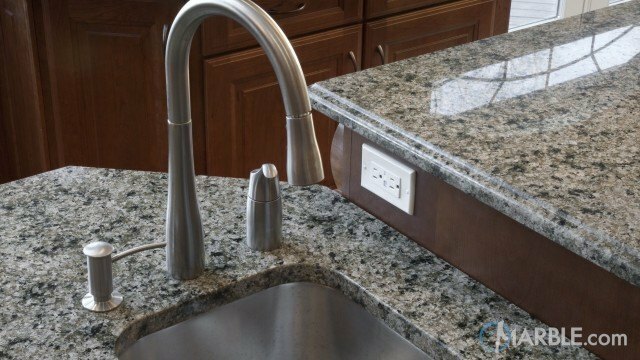 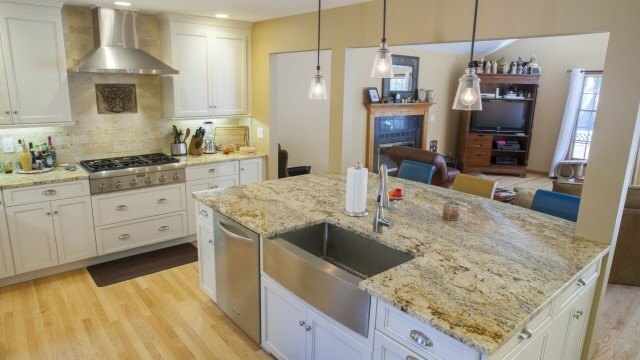 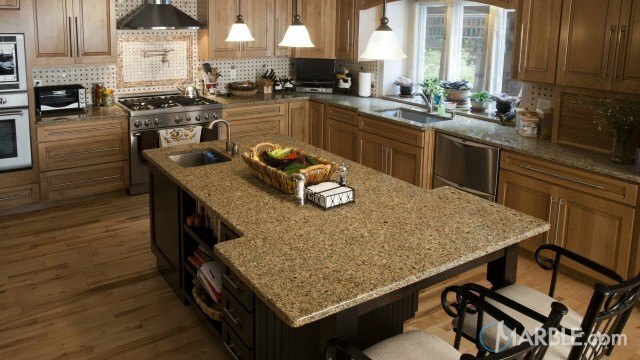 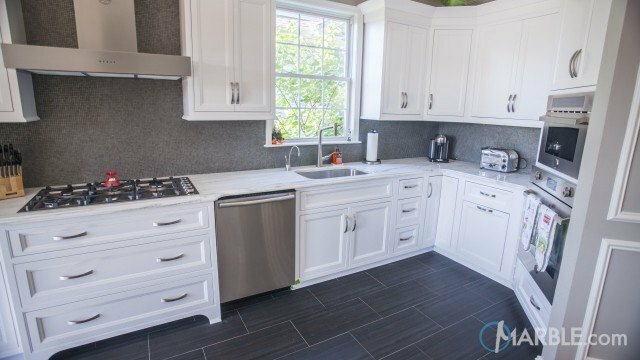 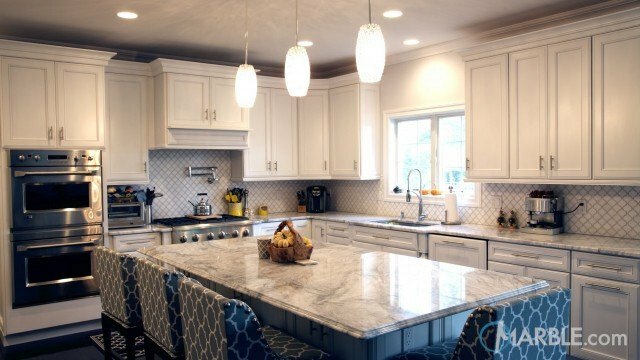 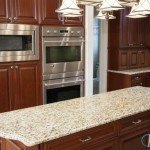 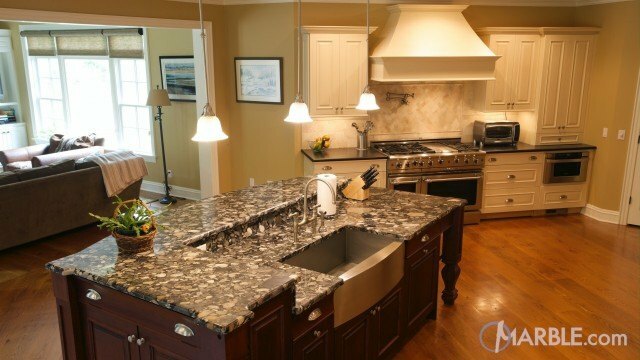 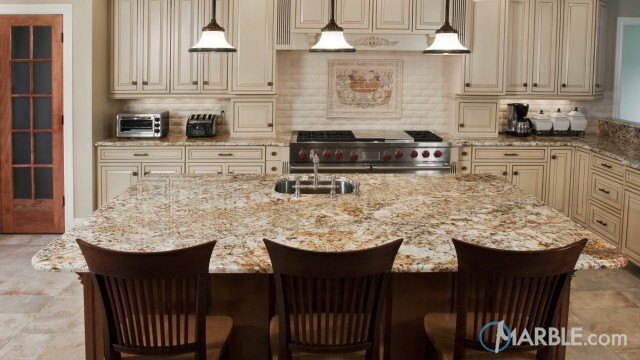 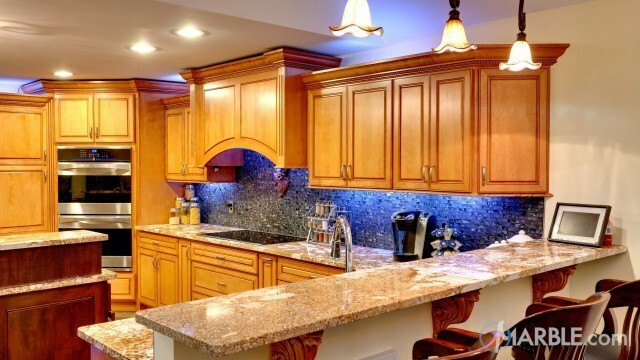 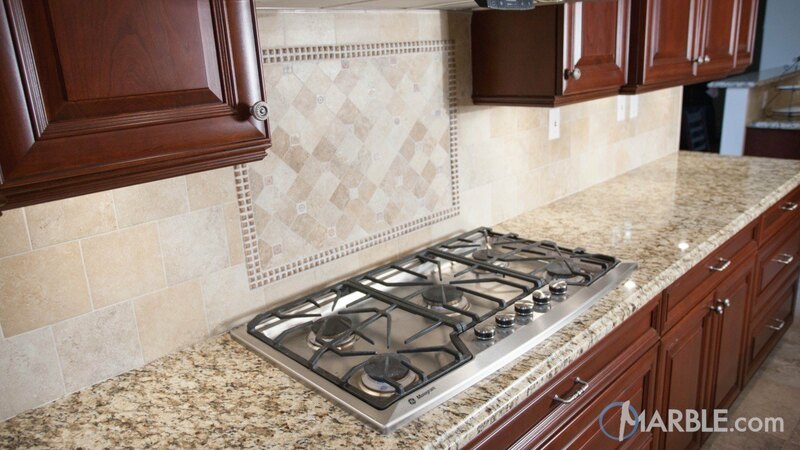 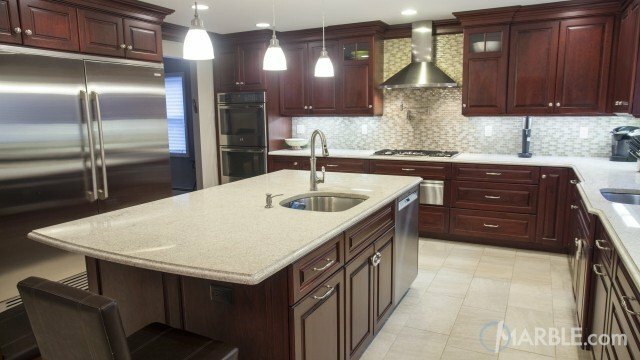 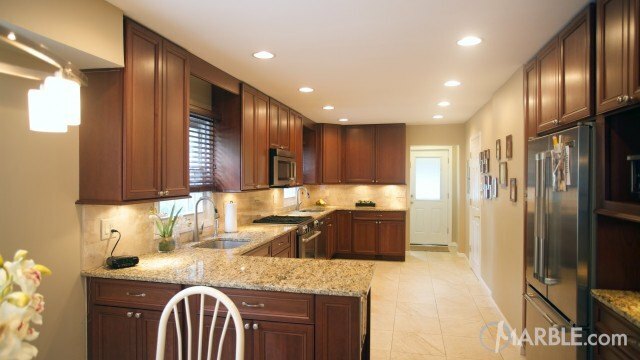 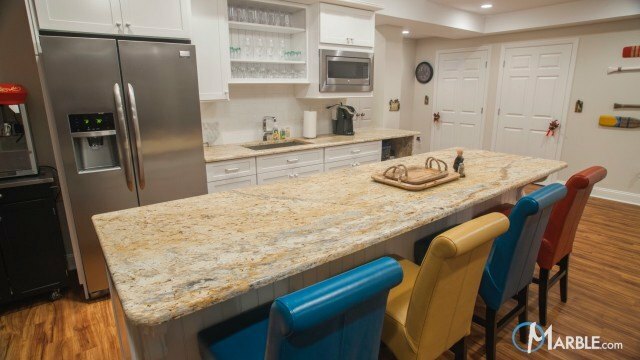 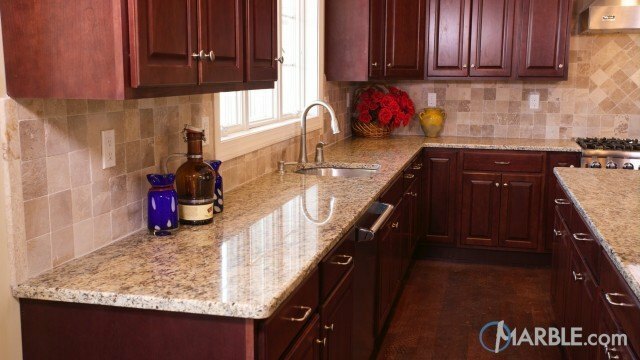 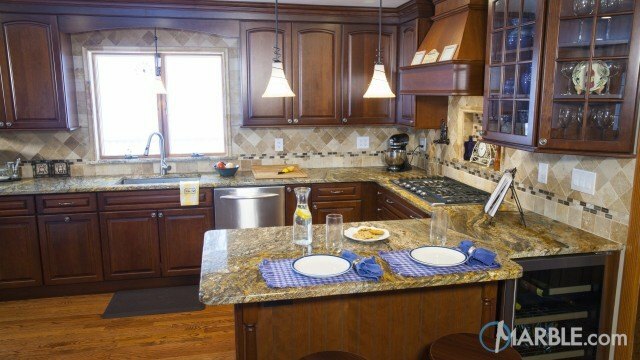 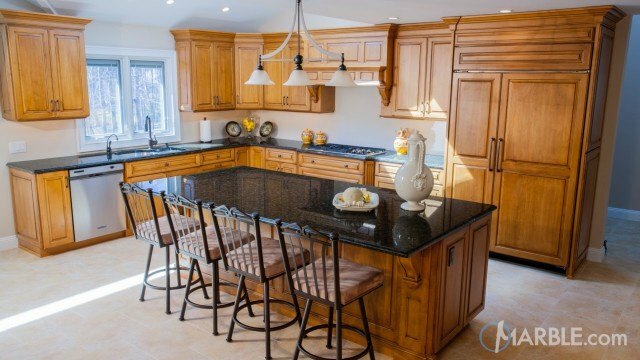 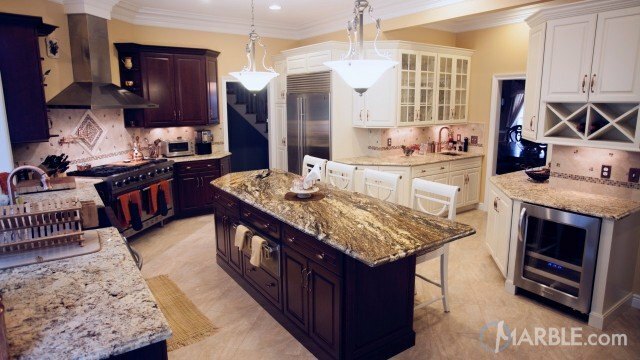 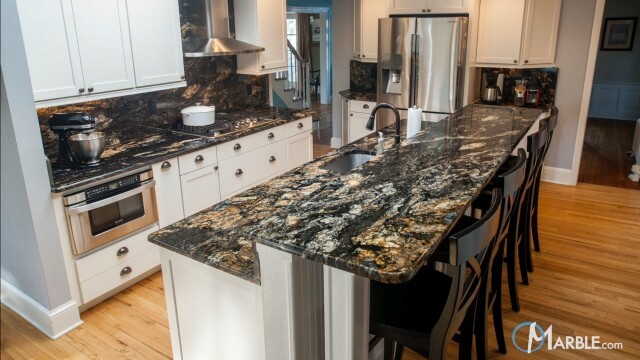 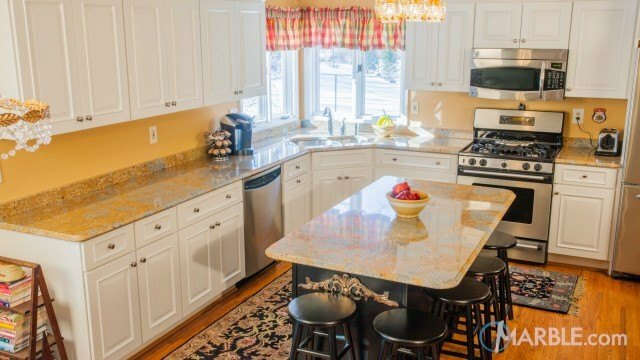 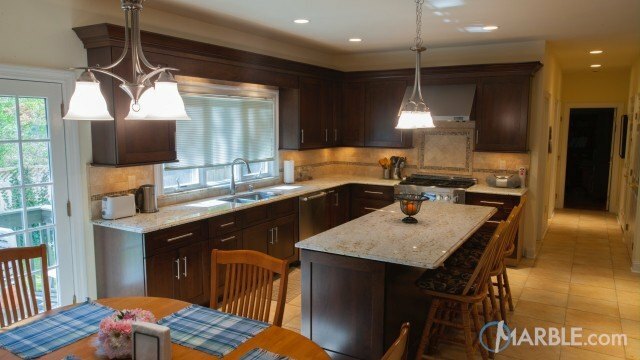 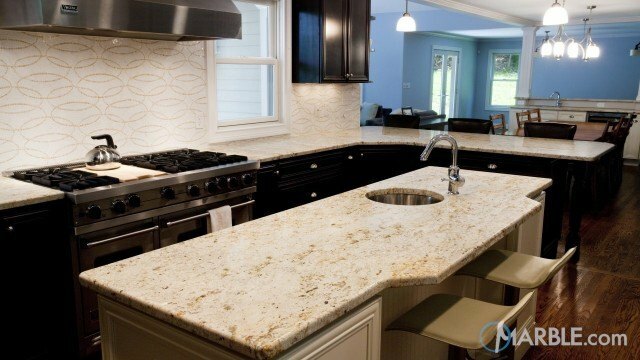 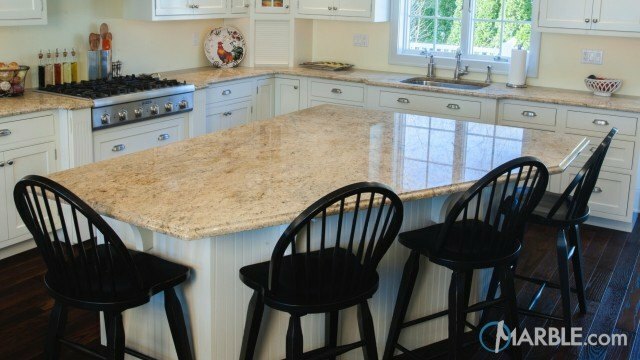 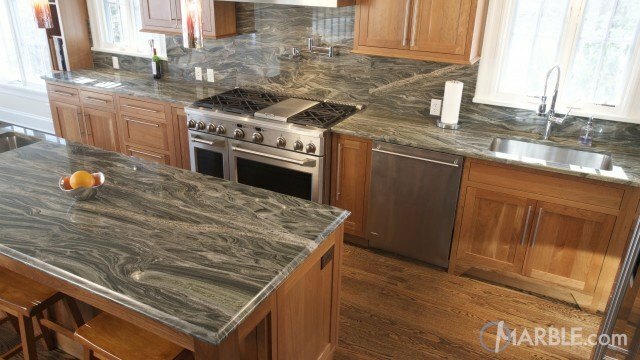 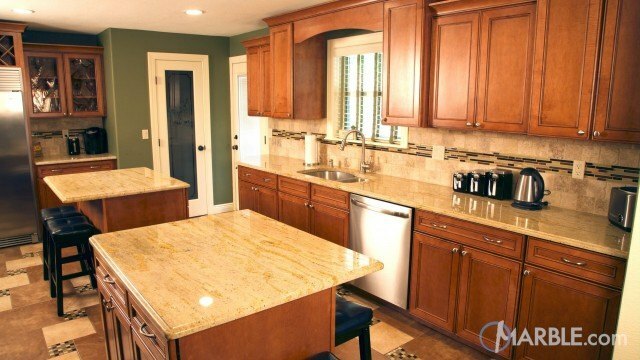 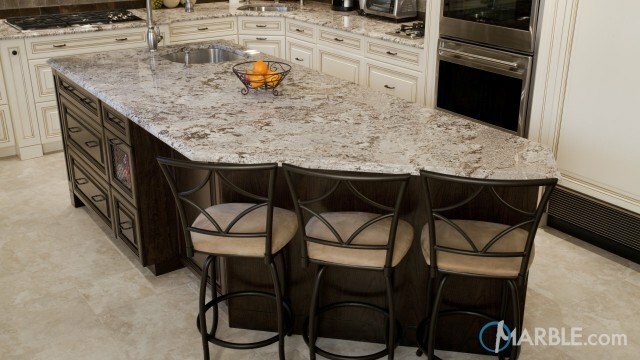 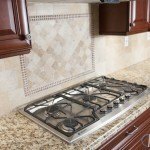 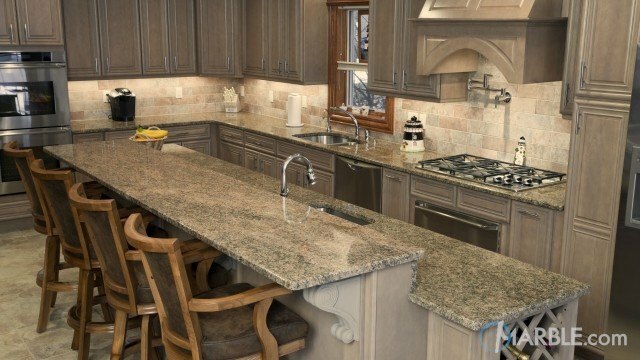 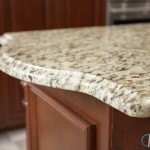 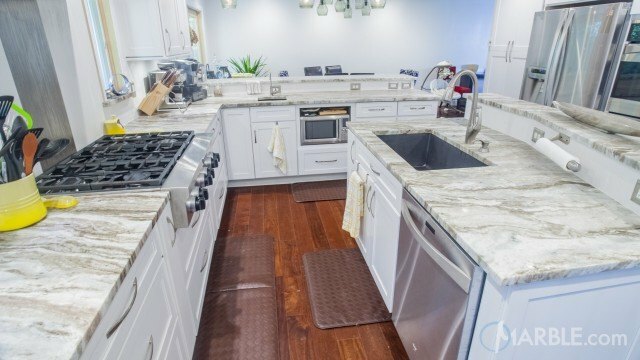 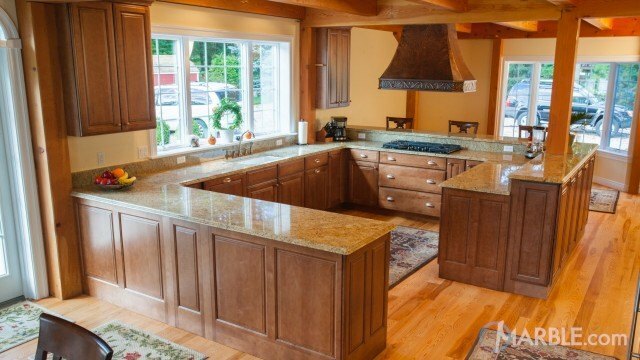 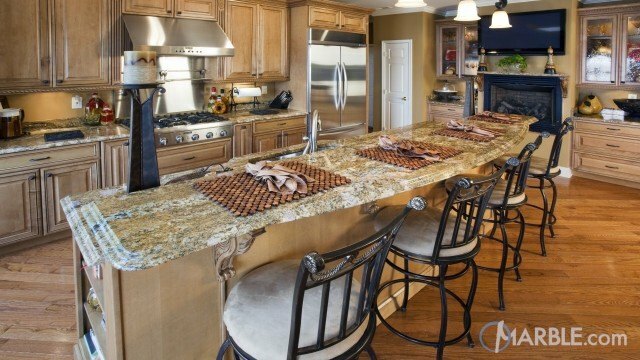 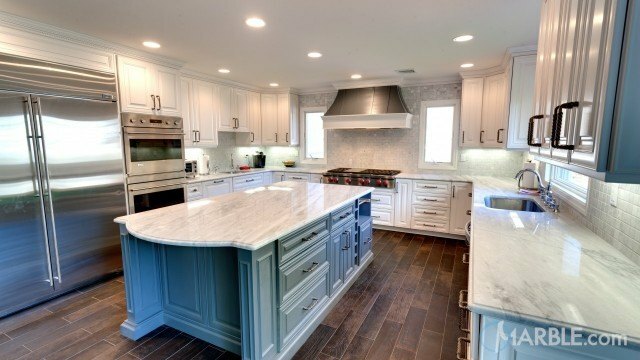 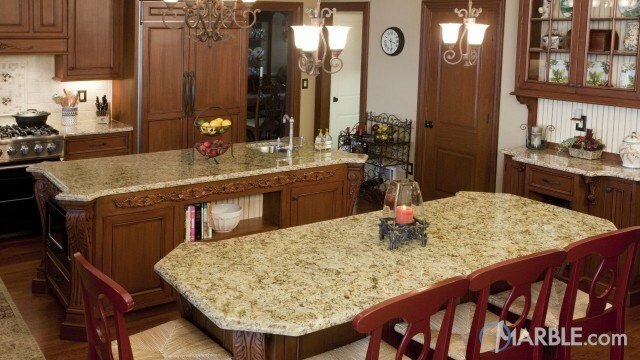 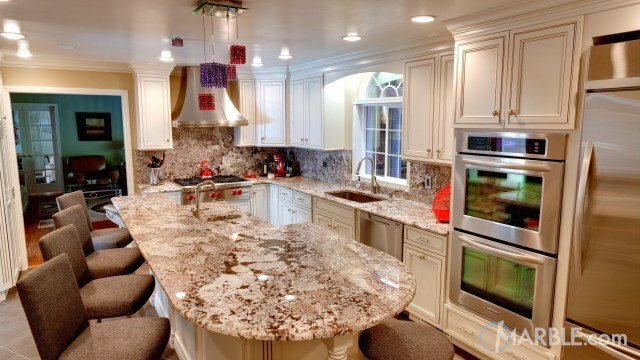 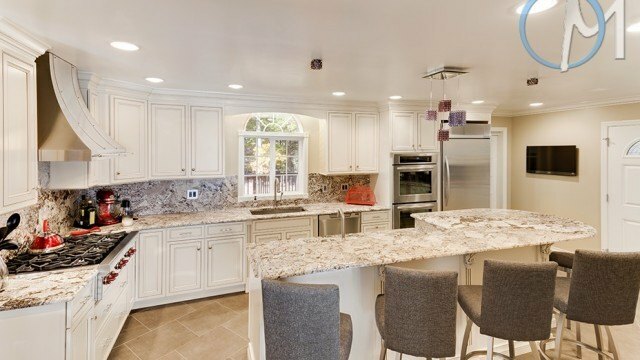 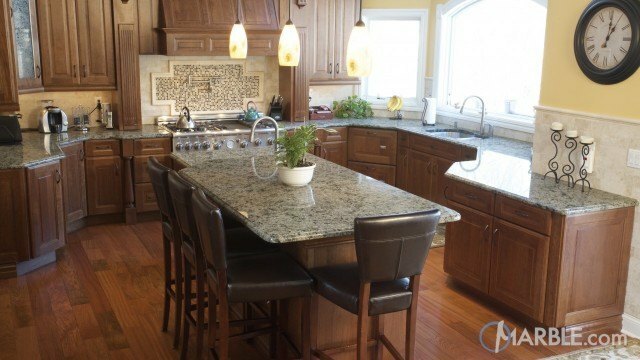 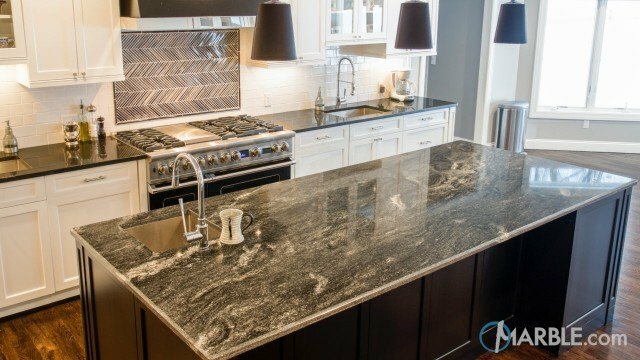 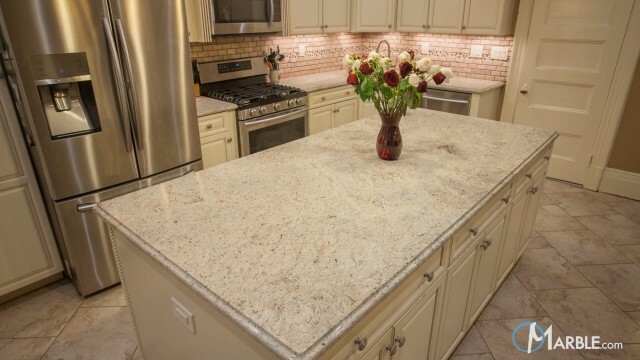 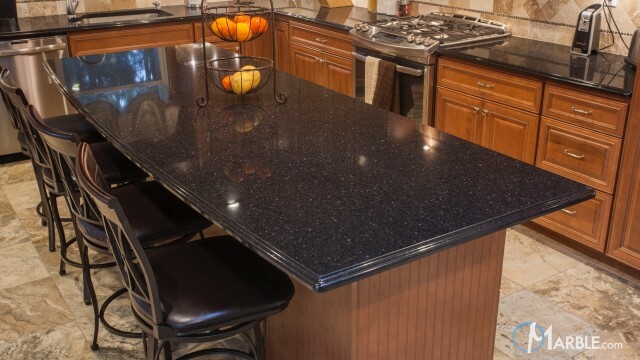 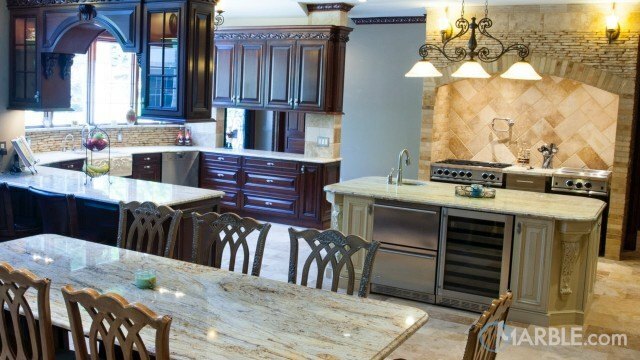 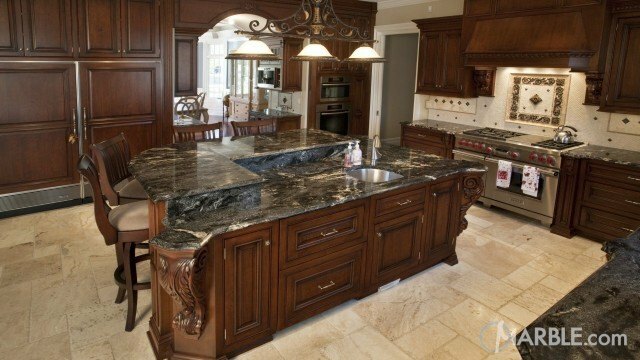 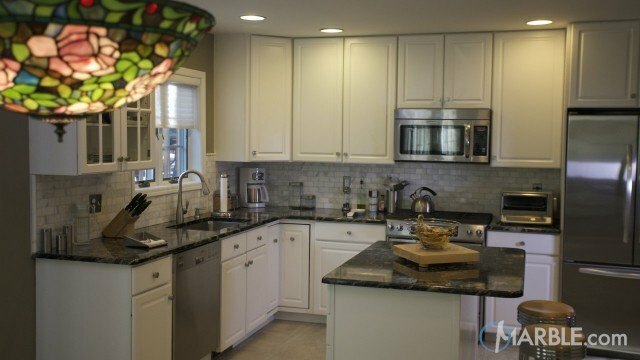 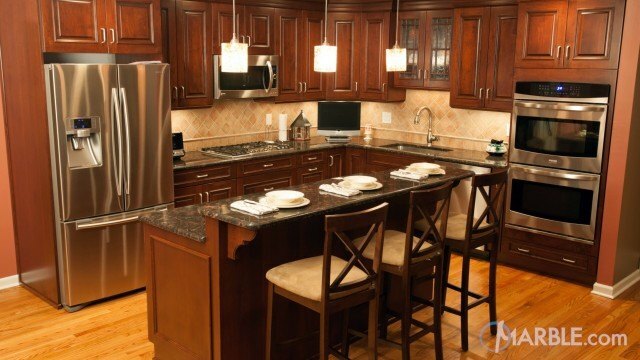 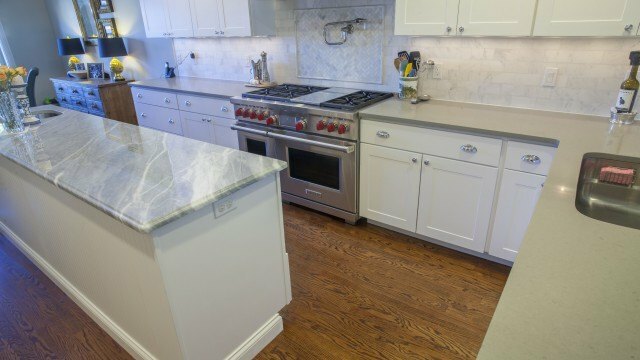 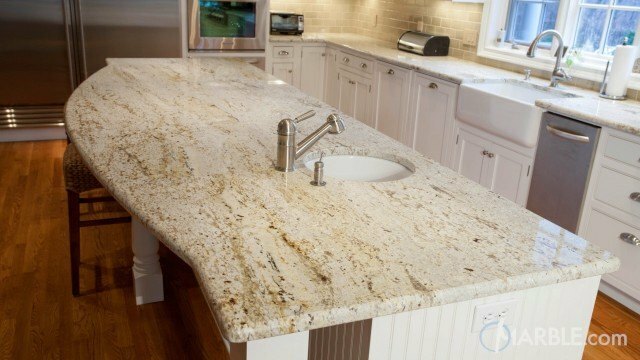 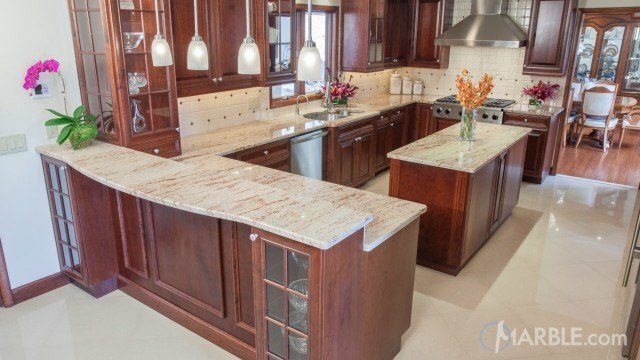 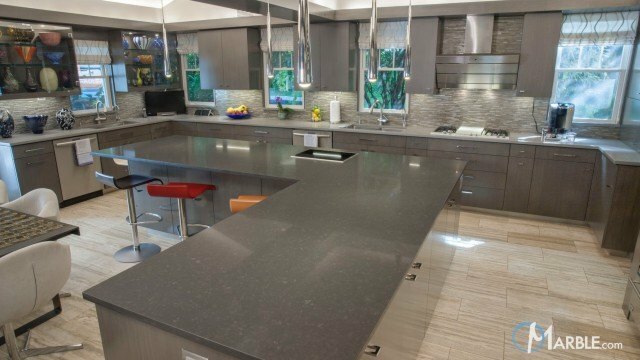 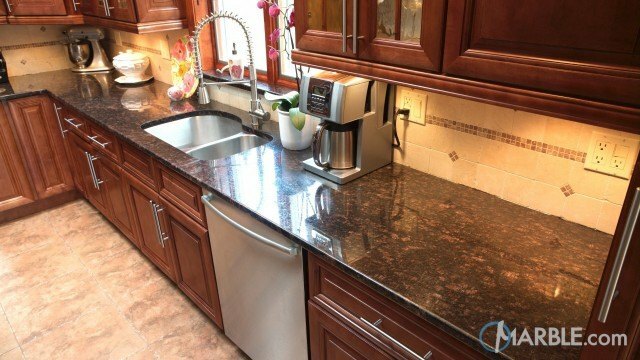 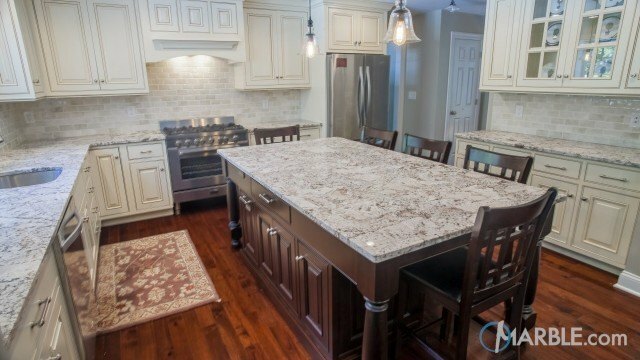 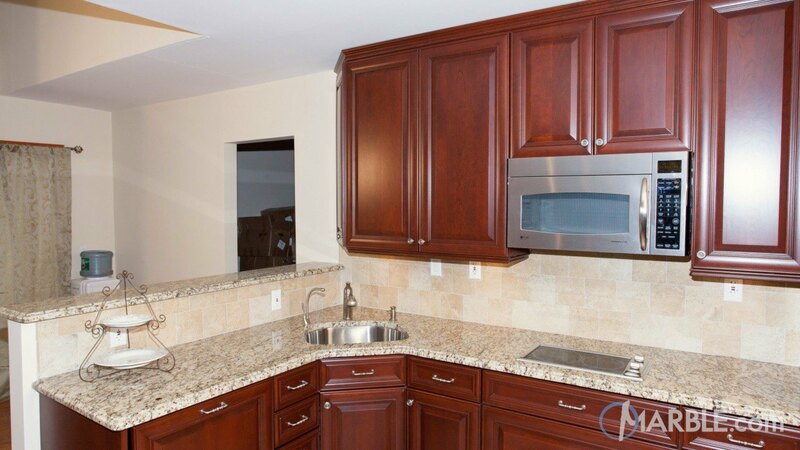 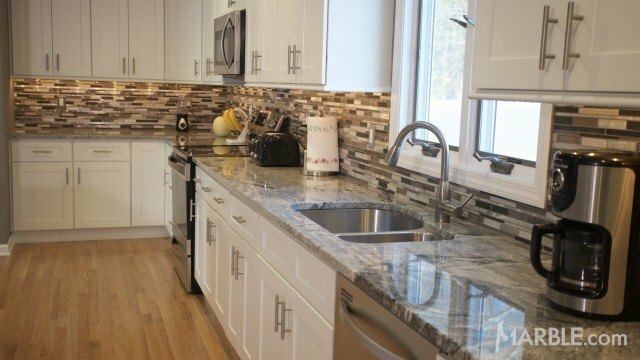 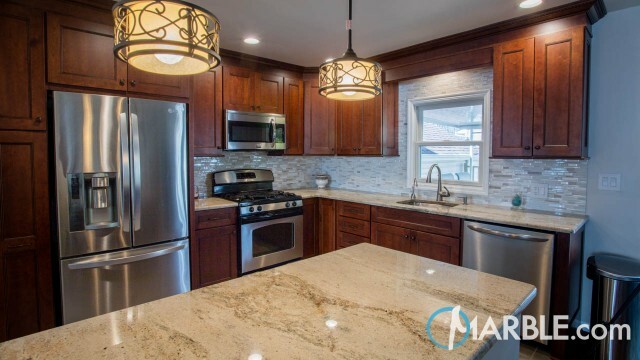 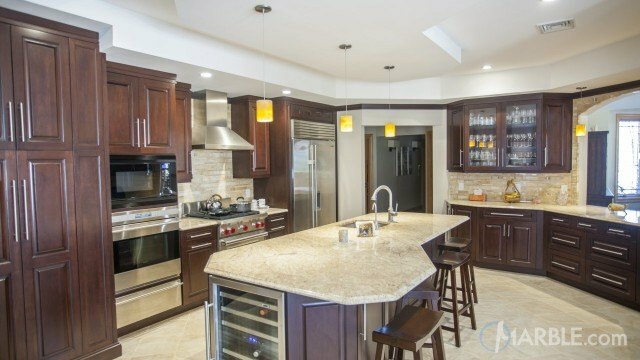 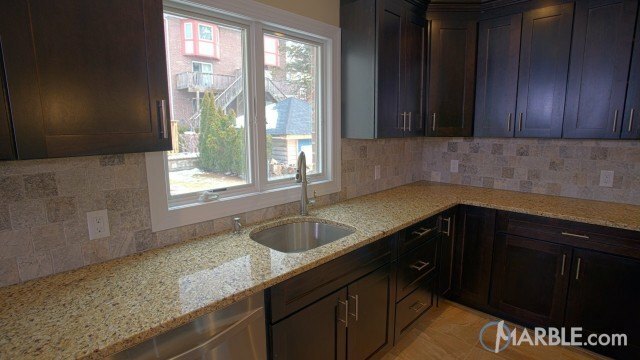 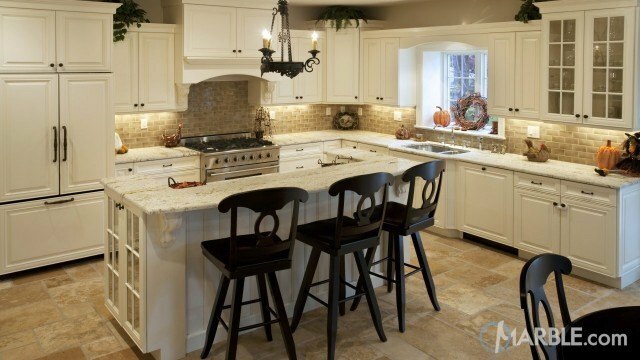 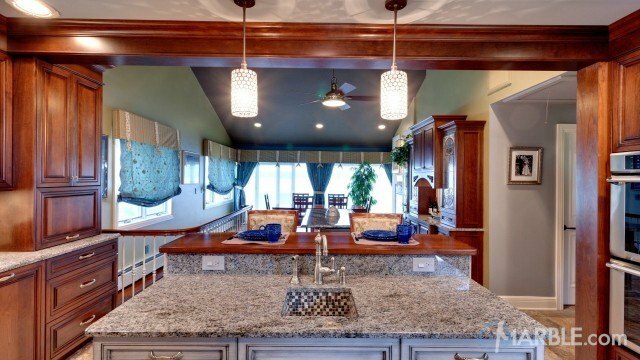 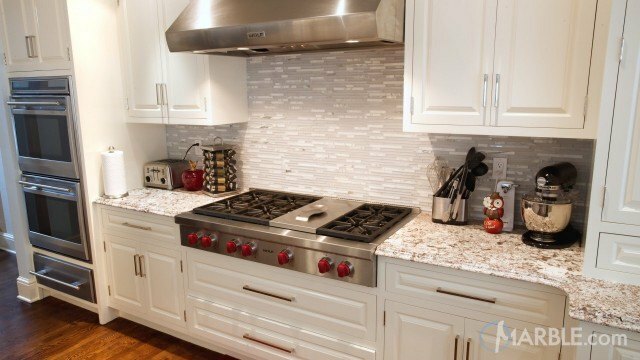 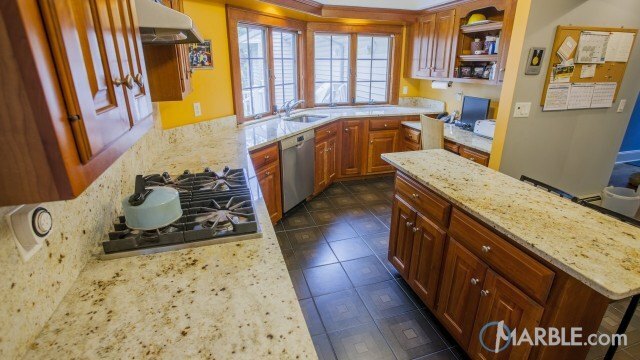 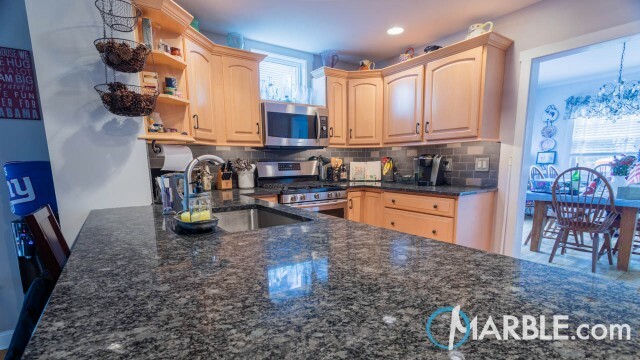 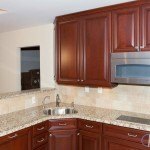 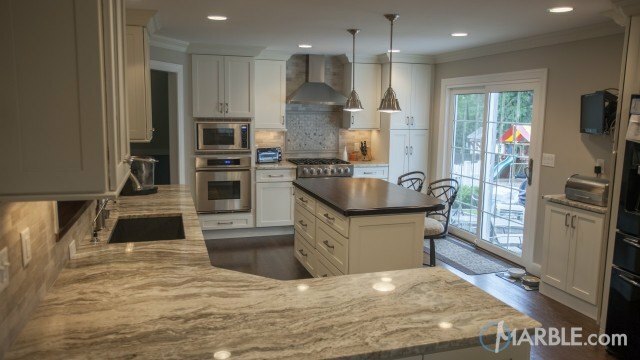 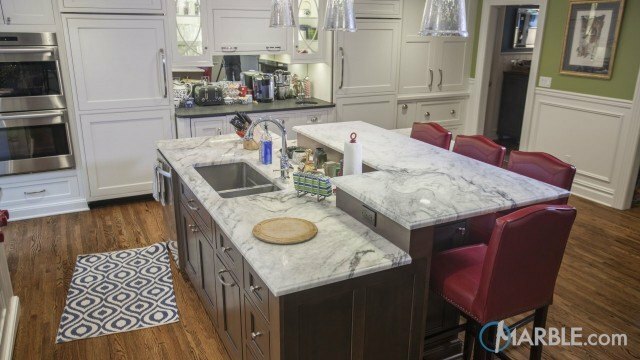 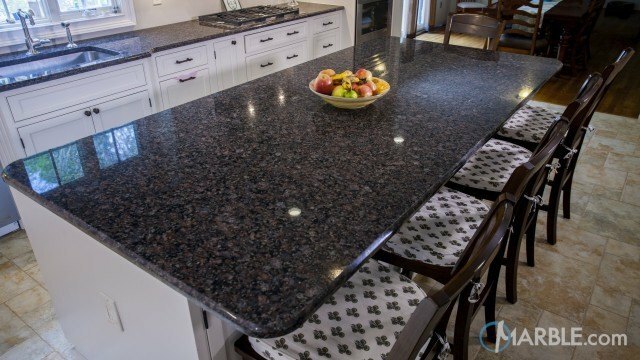 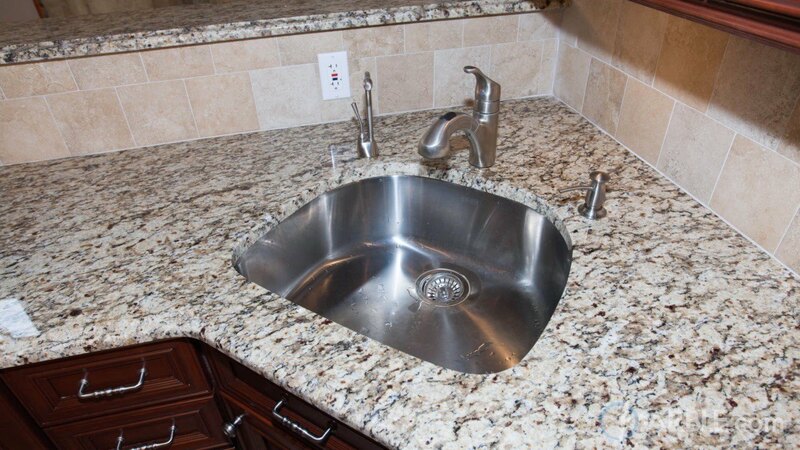 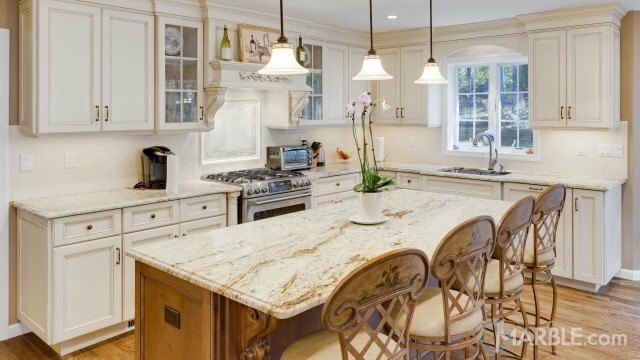 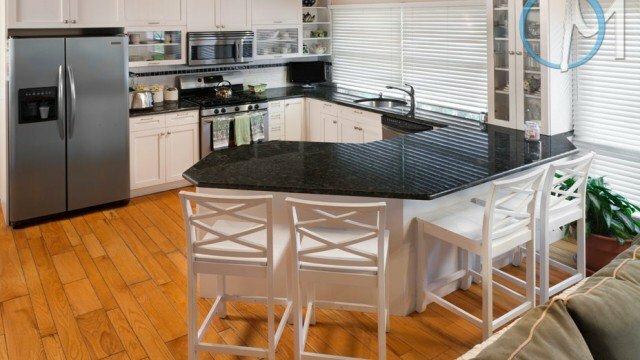 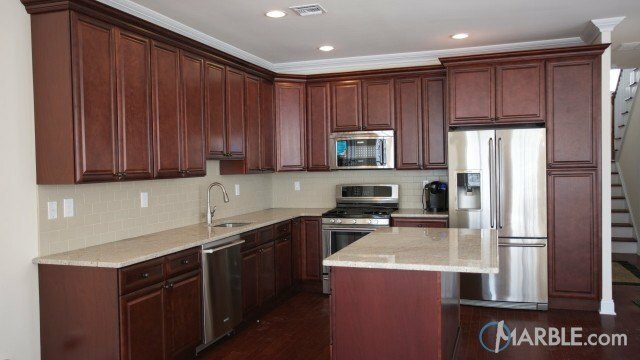 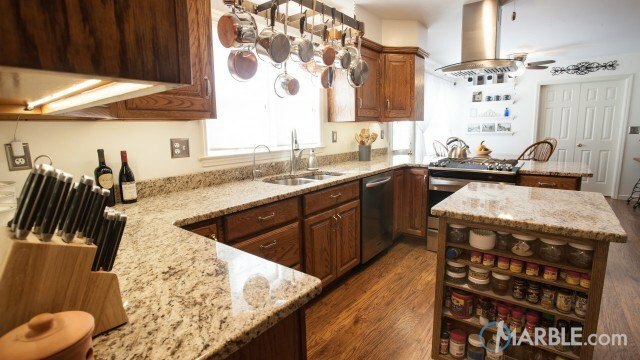 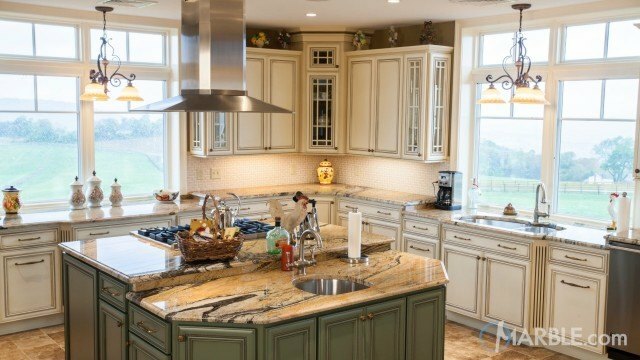 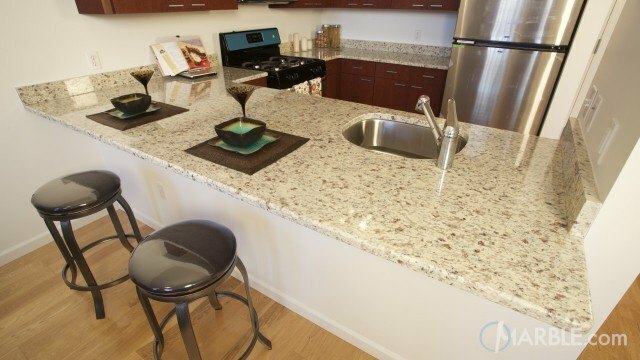 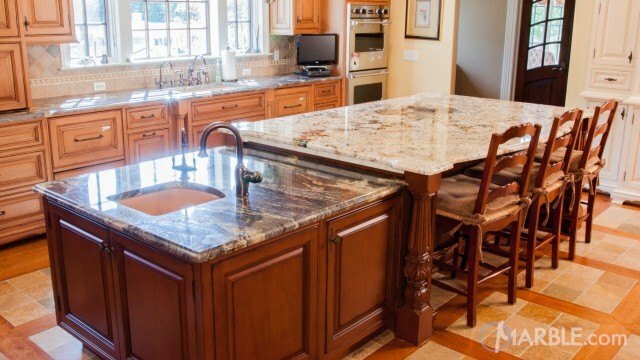 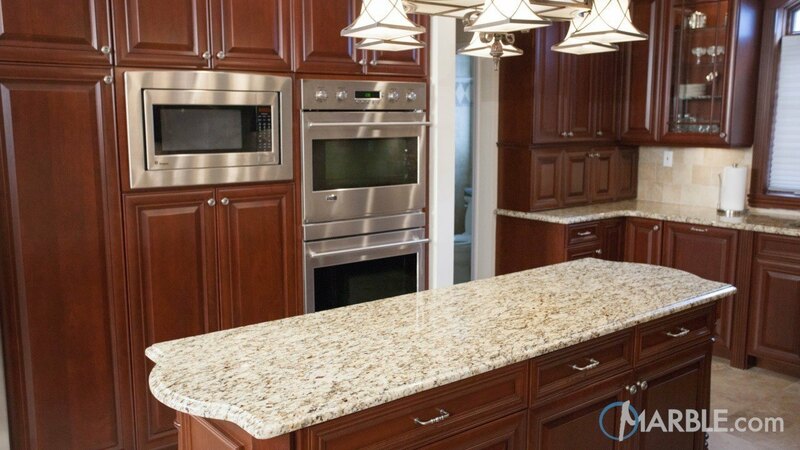 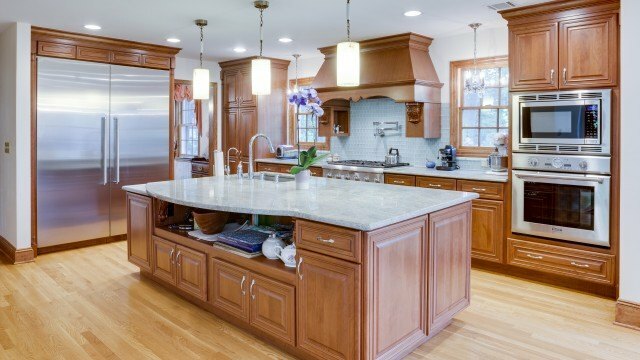 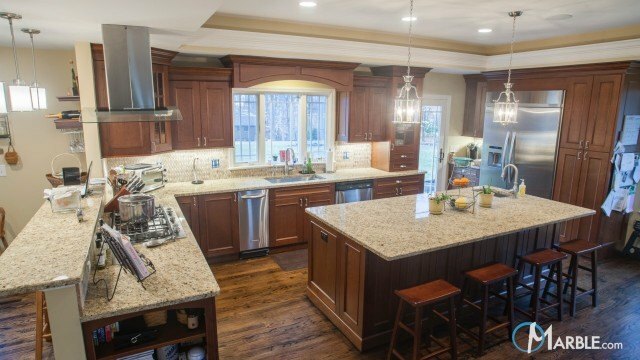 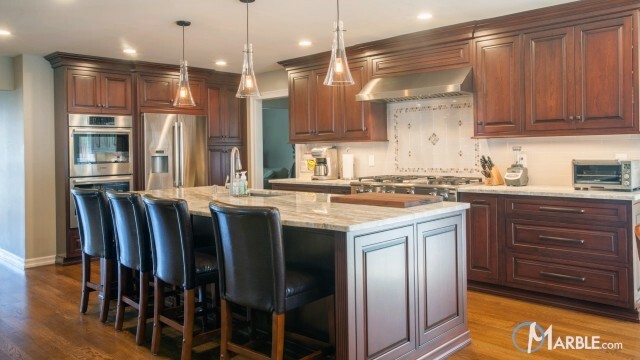 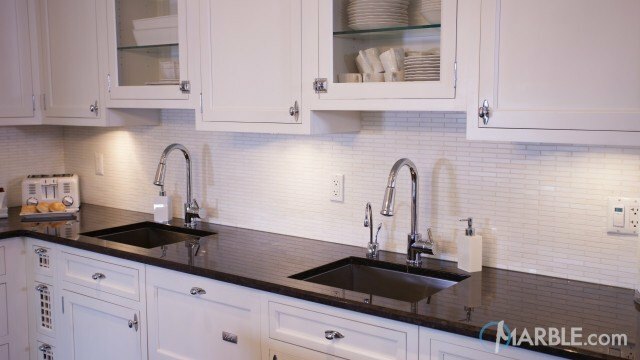 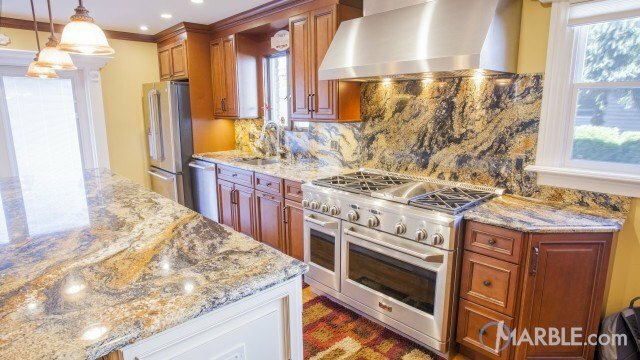 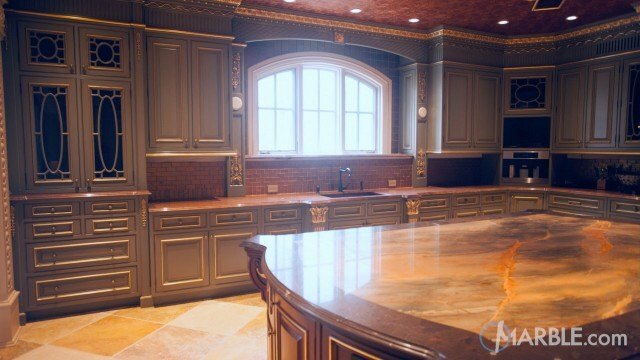 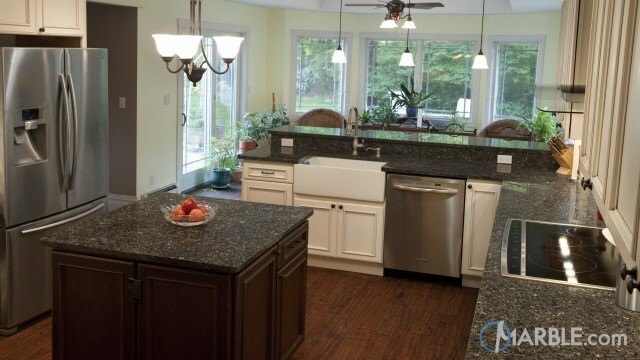 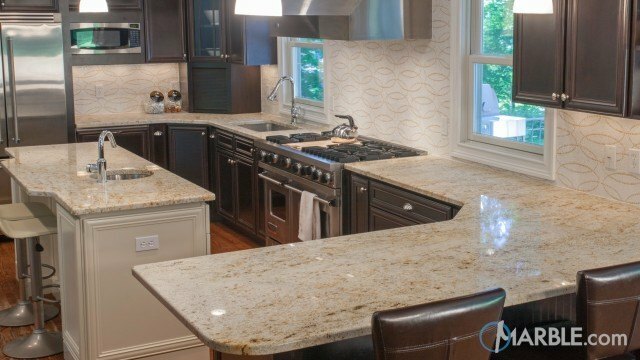 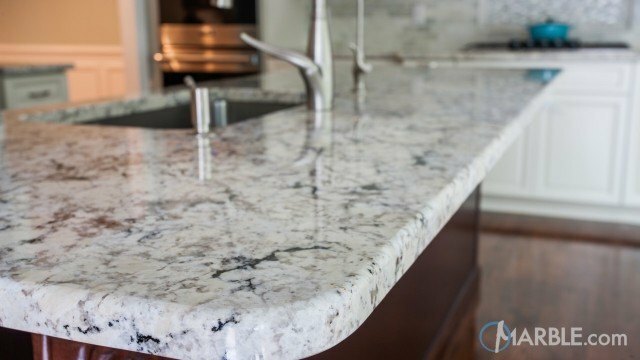 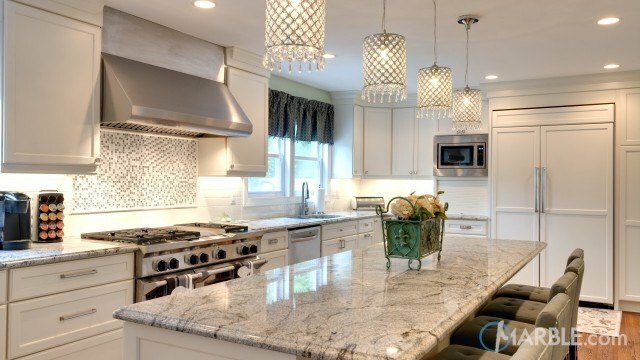 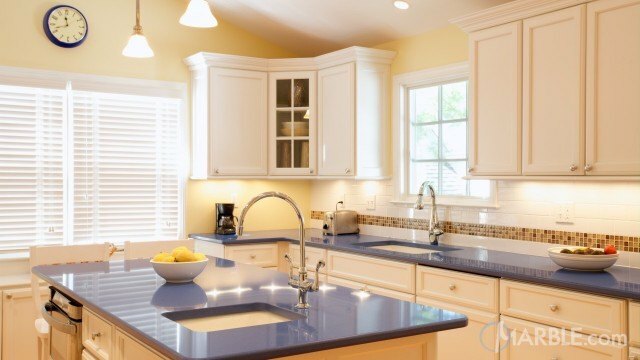 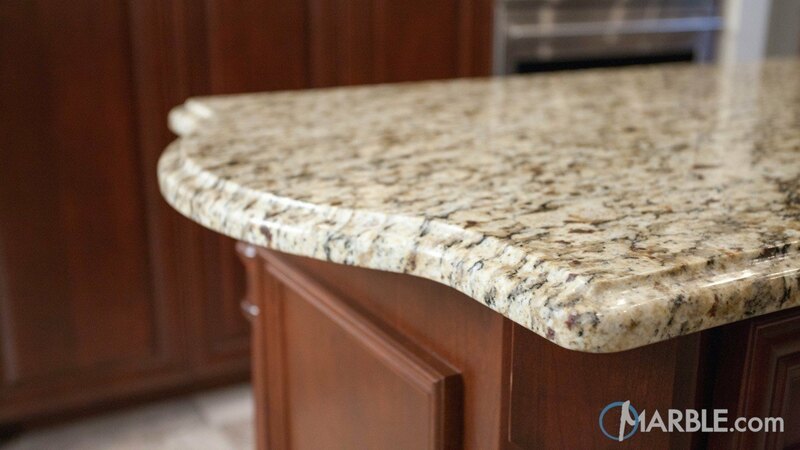 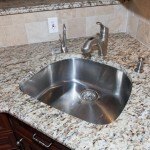 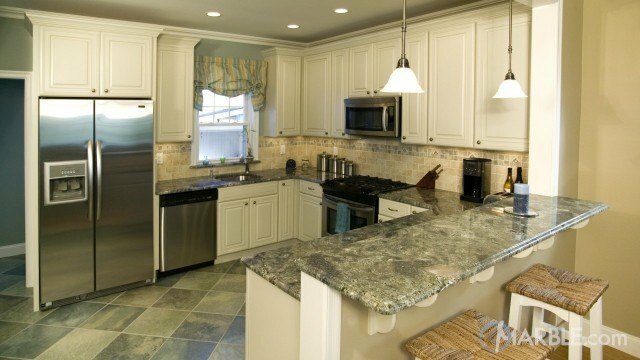 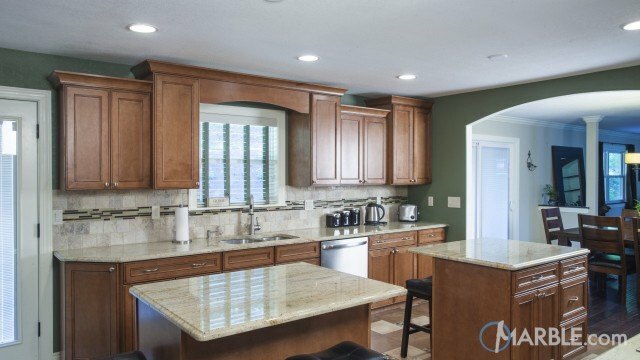 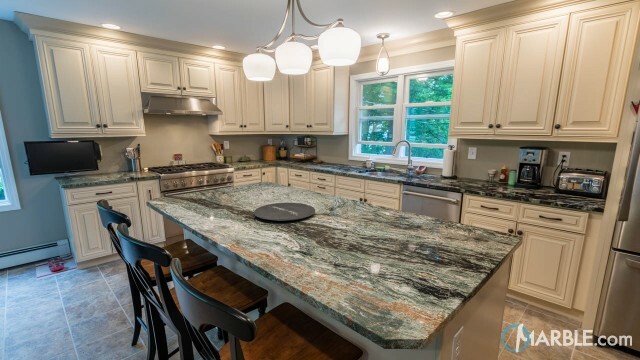 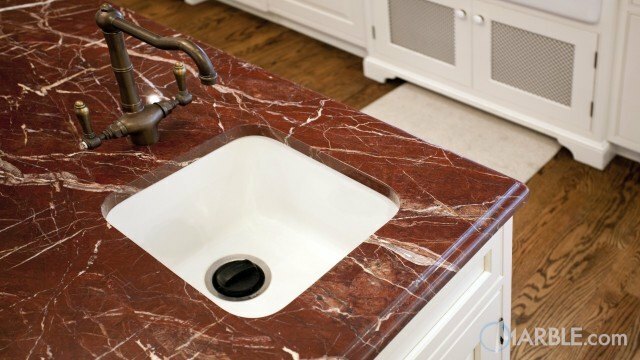 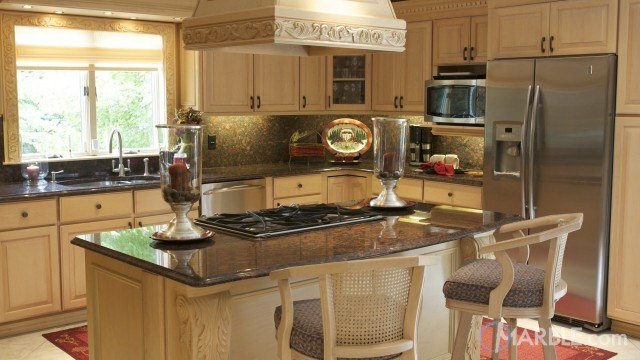 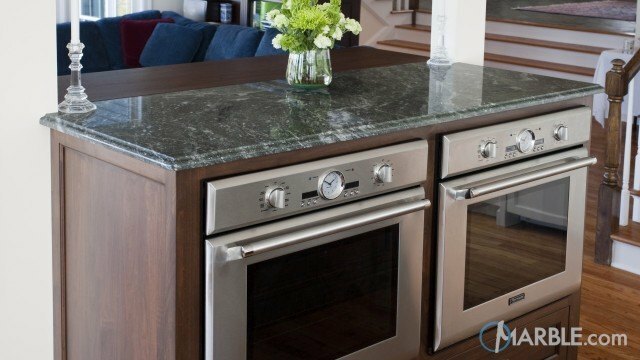 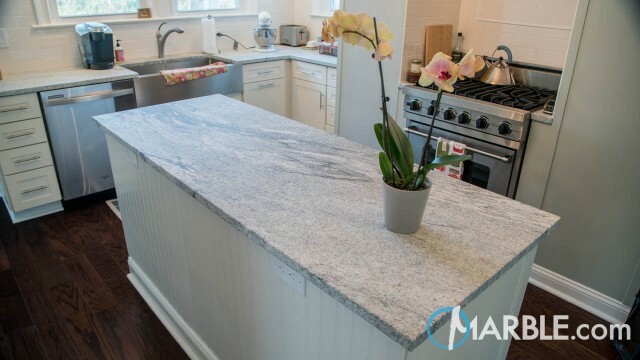 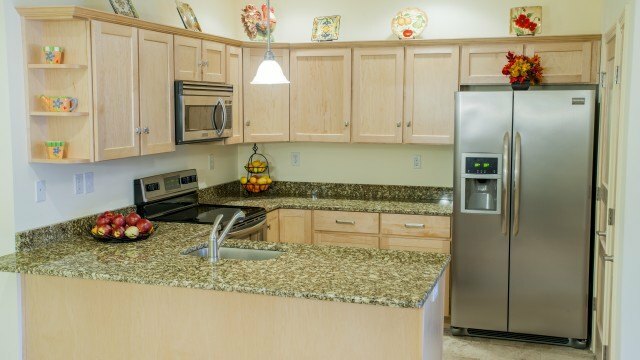 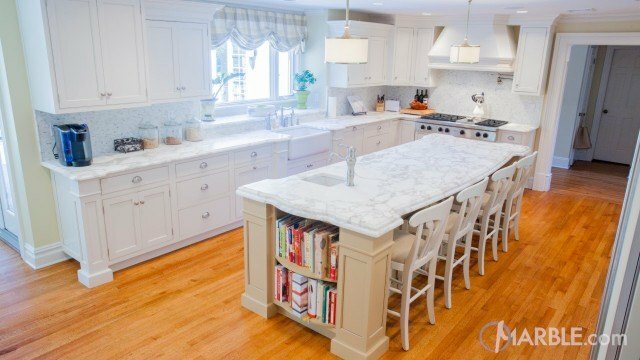 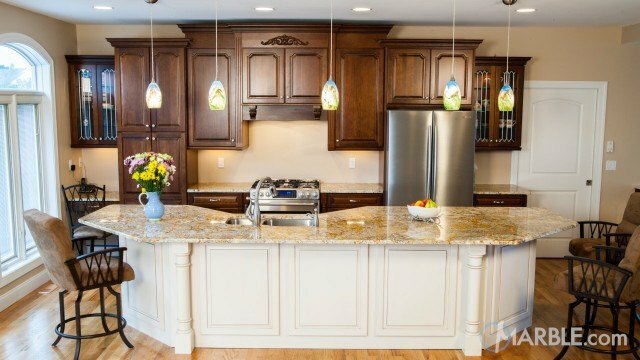 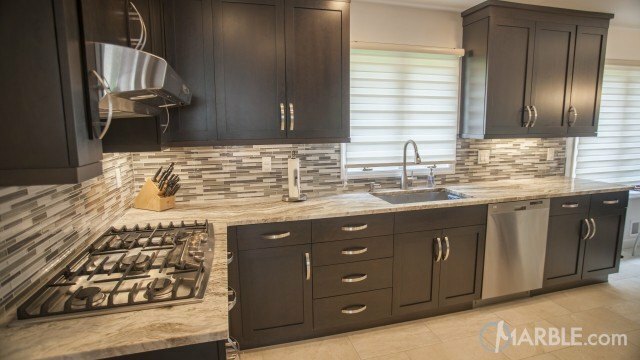 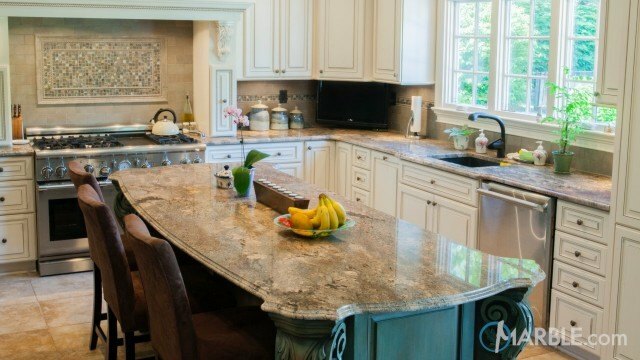 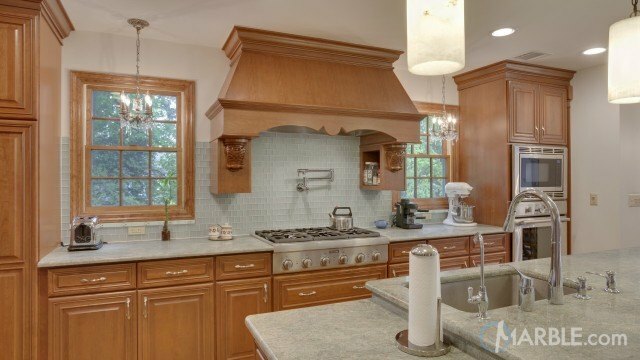 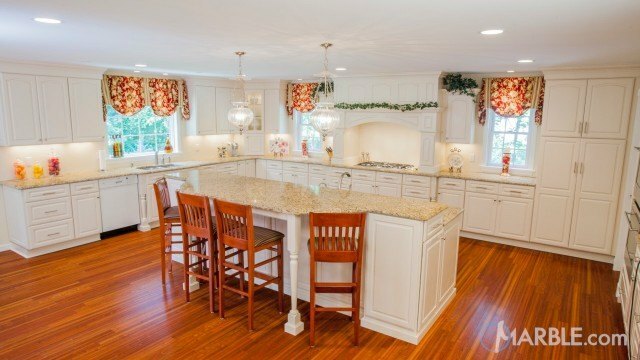 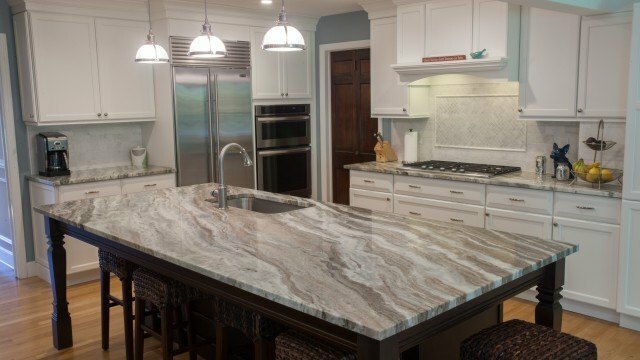 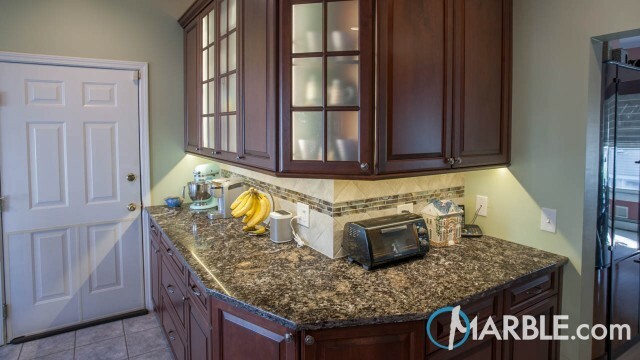 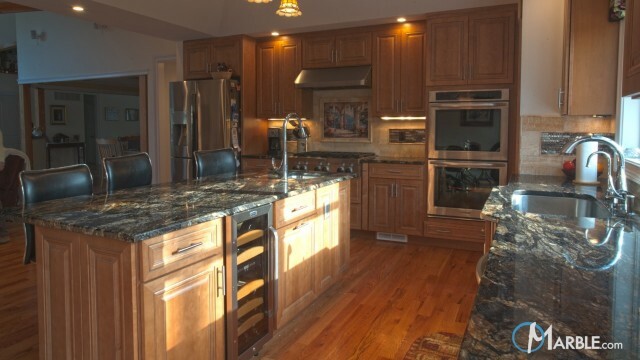 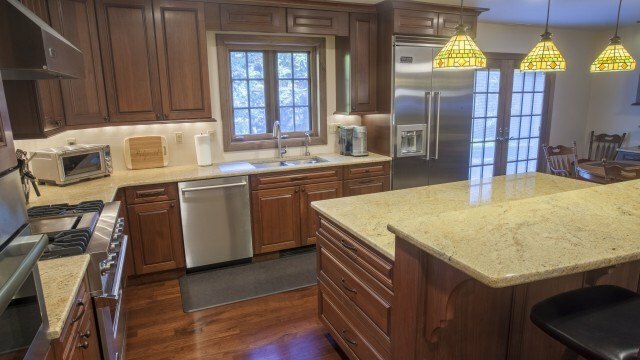 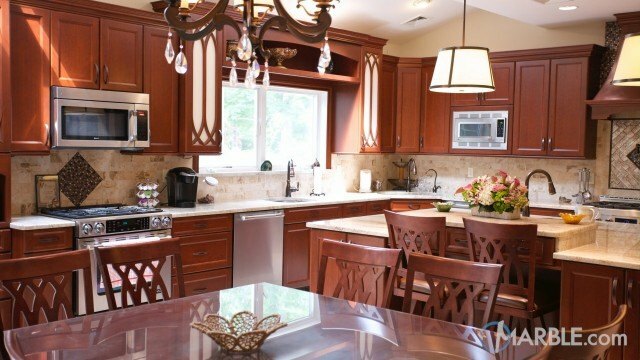 The cherry wood cabinets match perfectly with the Santa Cecilia granite counter tops. 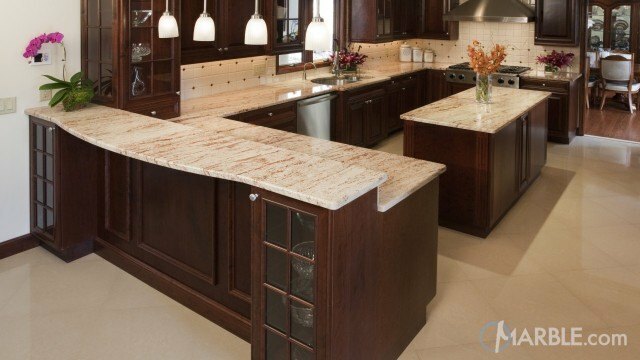 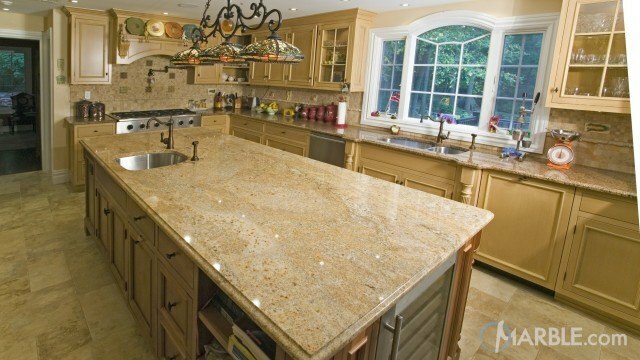 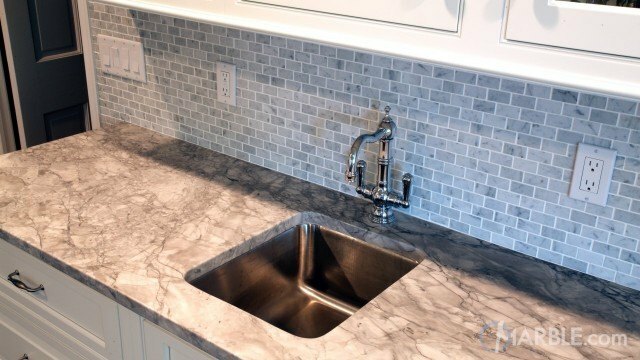 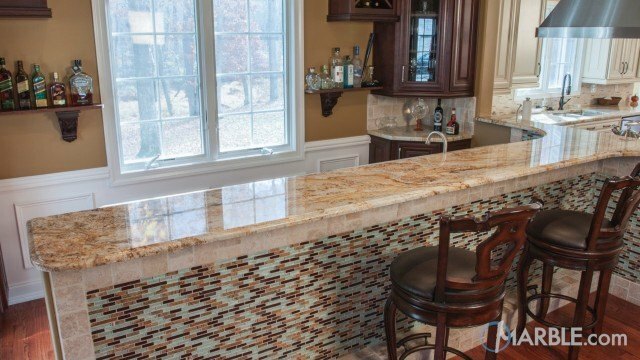 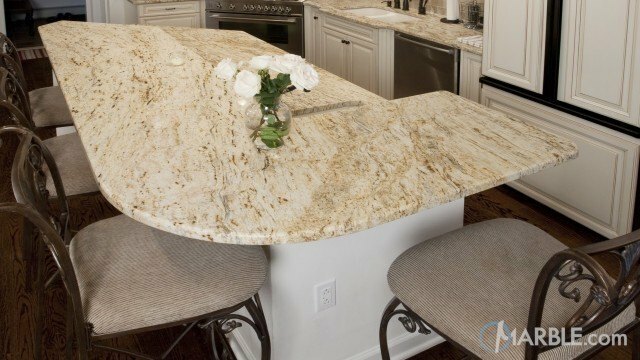 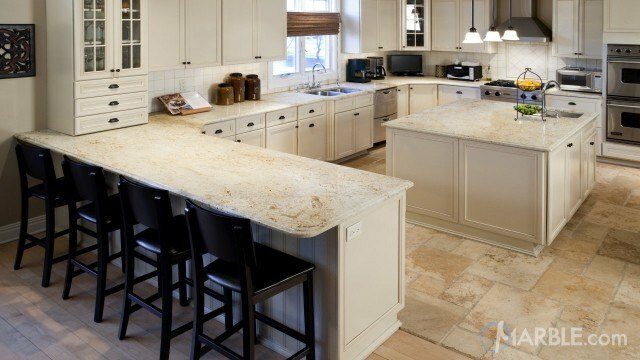 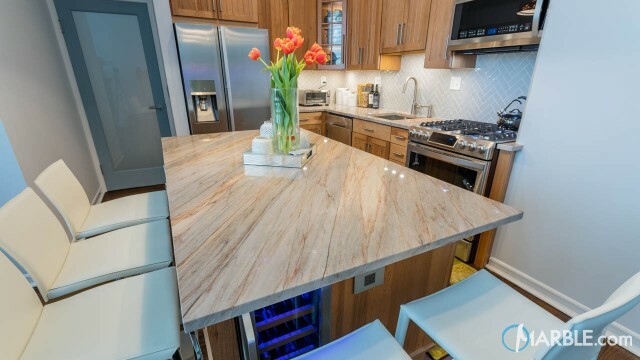 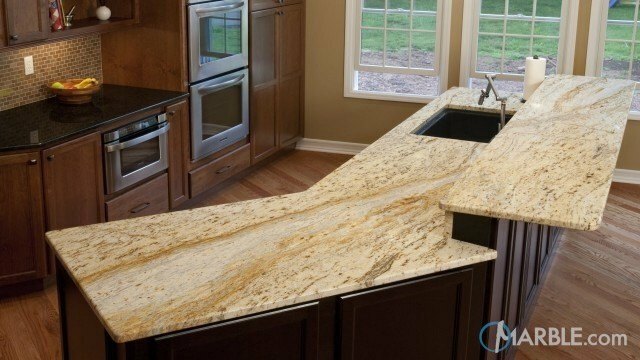 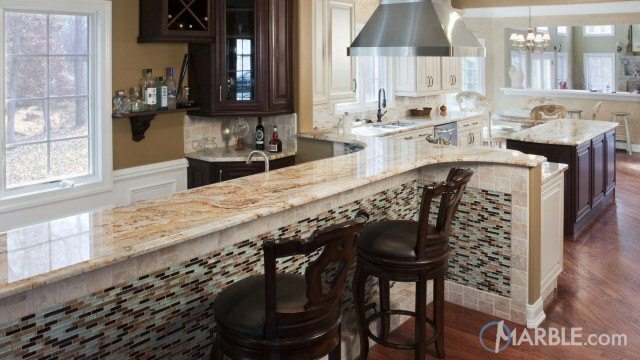 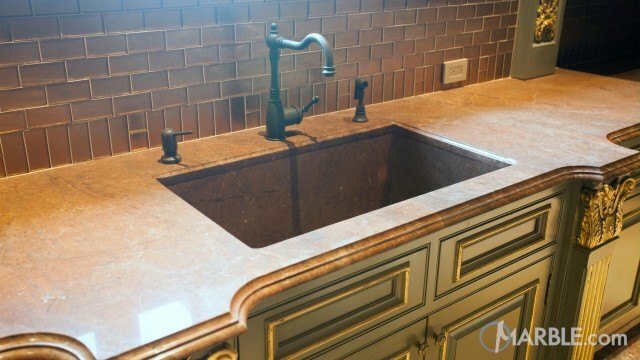 The light brown hues of the granite work well with the Travertine tiles and flooring.